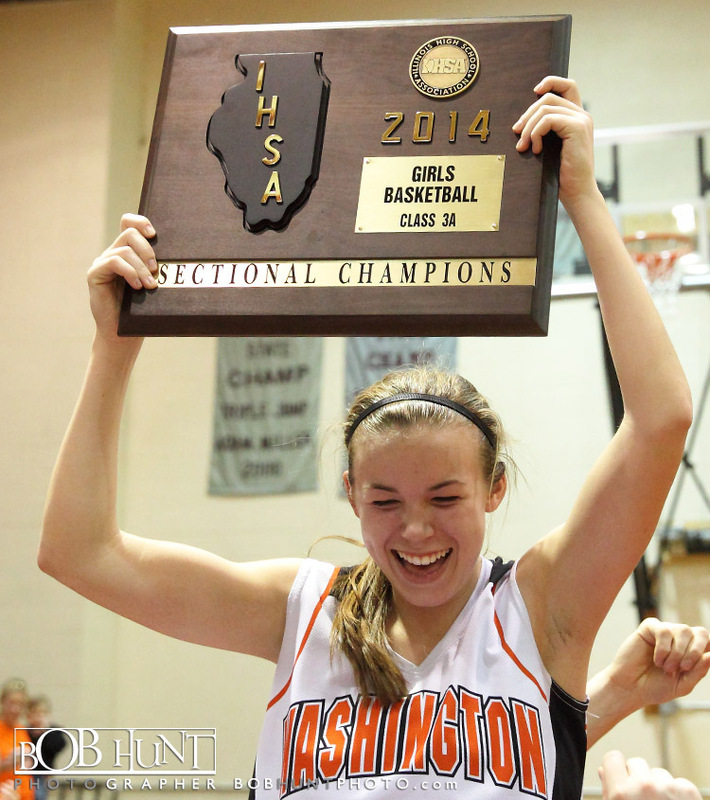 Washington High School defeated Peoria Notre Dame (16-15) 65-42 to capture the IHSA Class 3A Chillicothe Sectional title at IVC High School Thursday night. 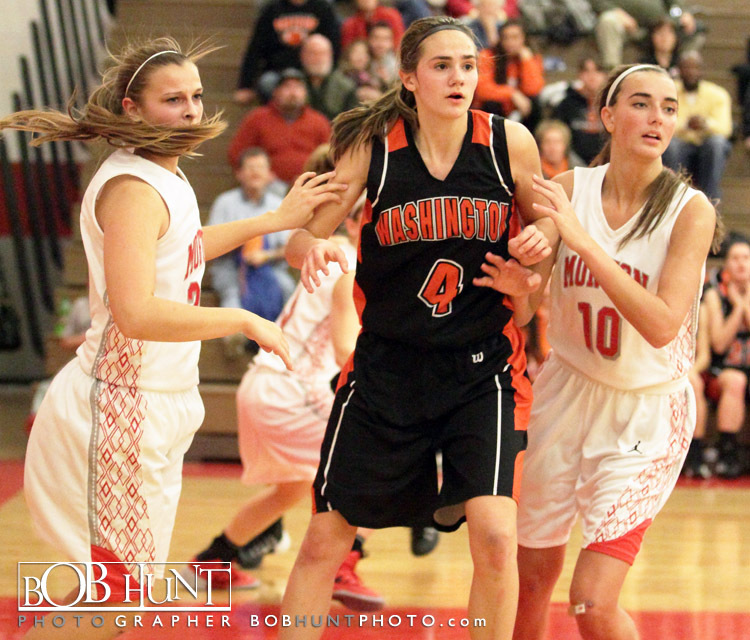 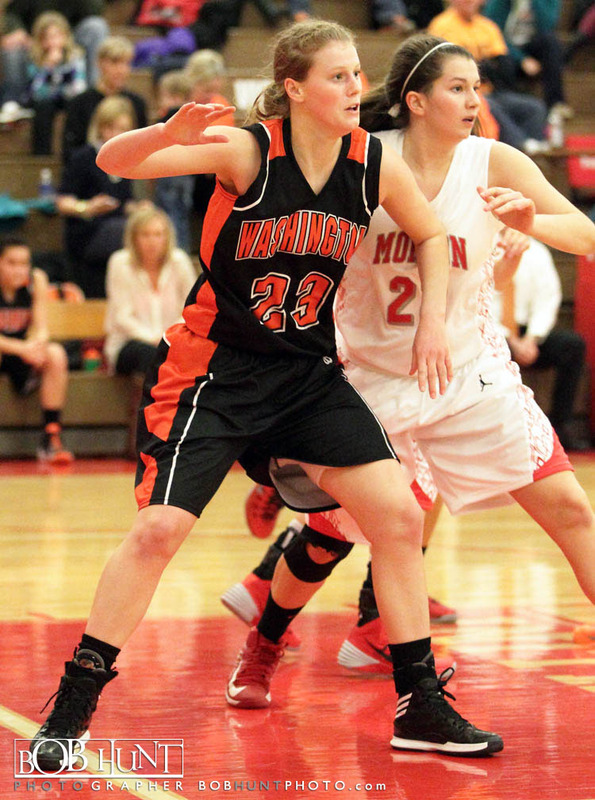 Washington was led in scoring by junior Jess Learned with 19 points and senior guard Hayley Reneau with 14. 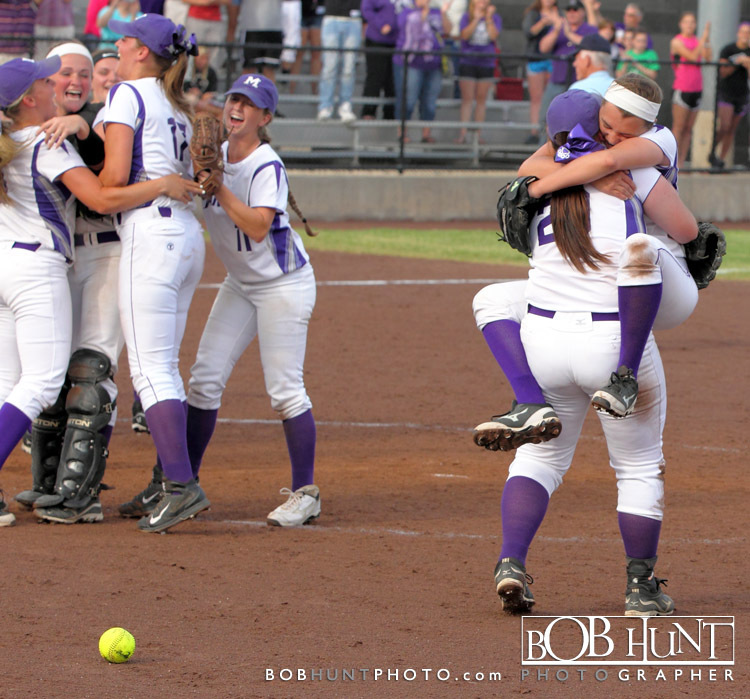 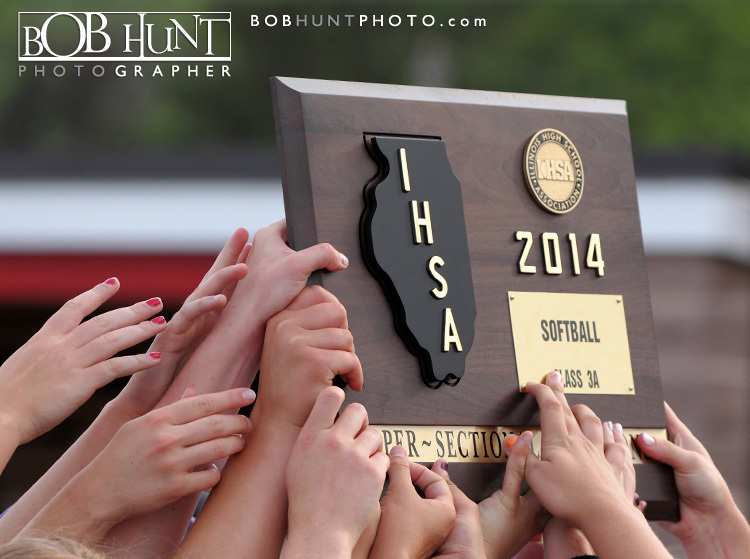 The lady panthers won its first sectional title since 1977. 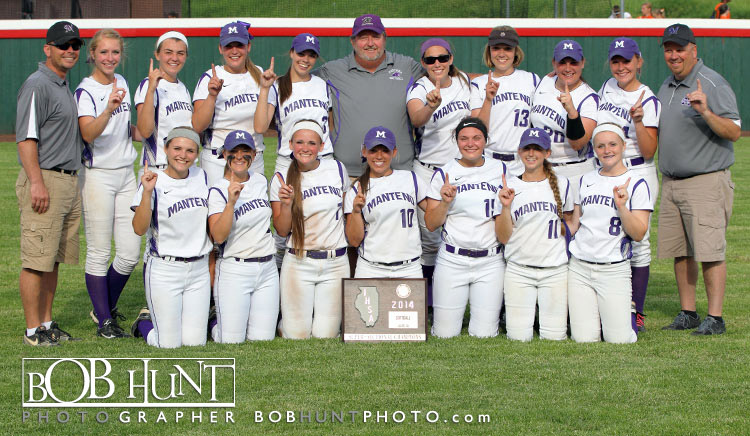 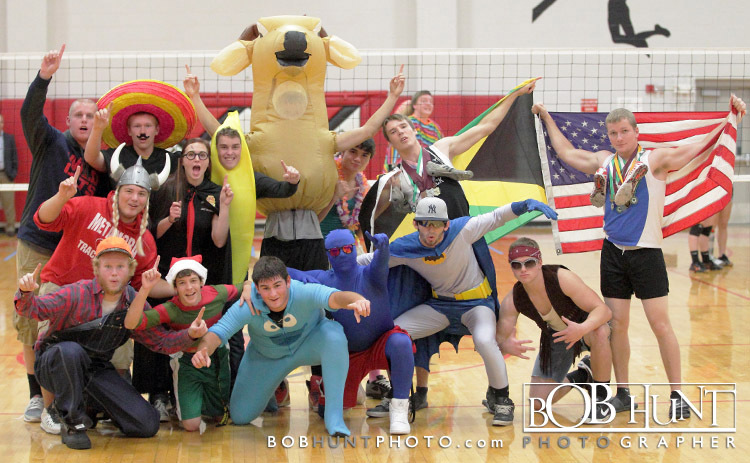 The 5th rated Panthers (26-3) faces #3 Joliet Catholic (26-2) in the Romeoville Supersectional 7 p.m. Monday at Lewis University. 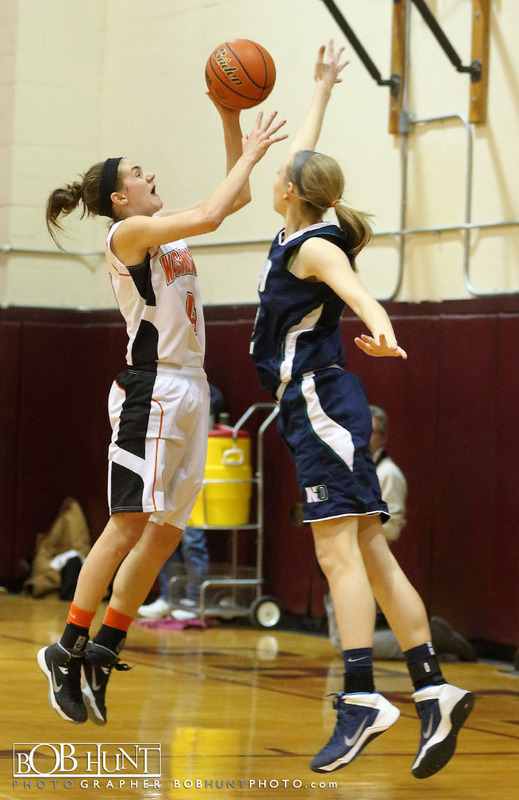 Notre Dame was led in scoring by seniors Bridget Bill with 13 points and Matti Bielfeldt added 12 points. 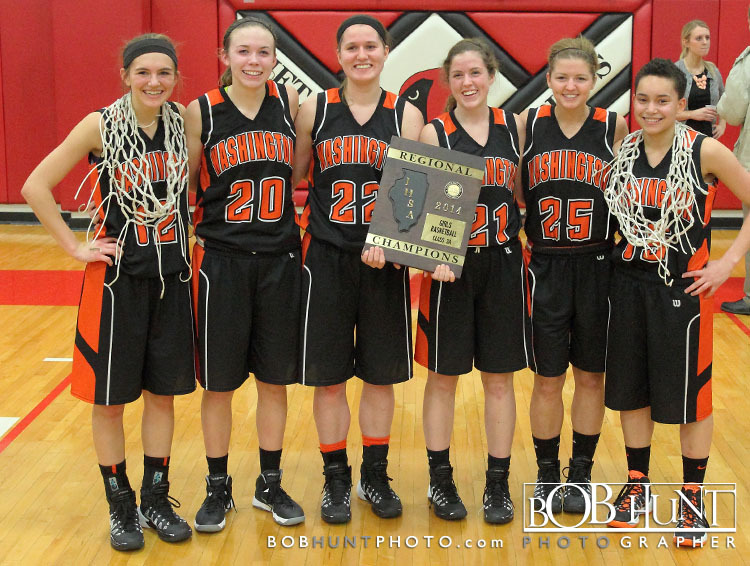 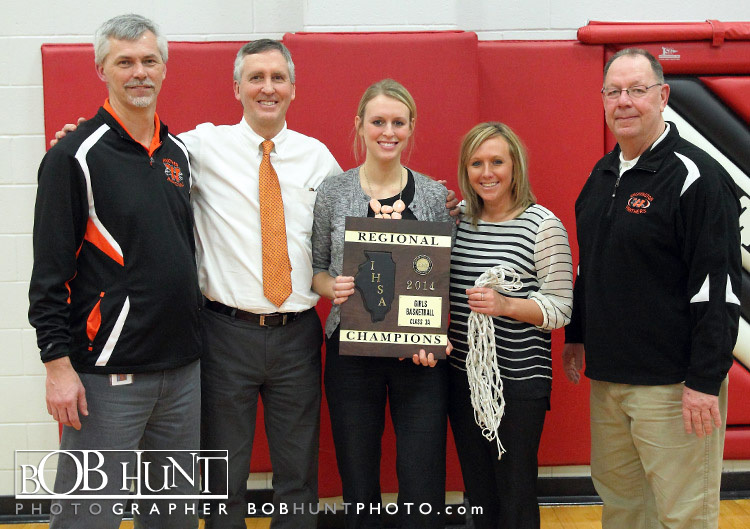 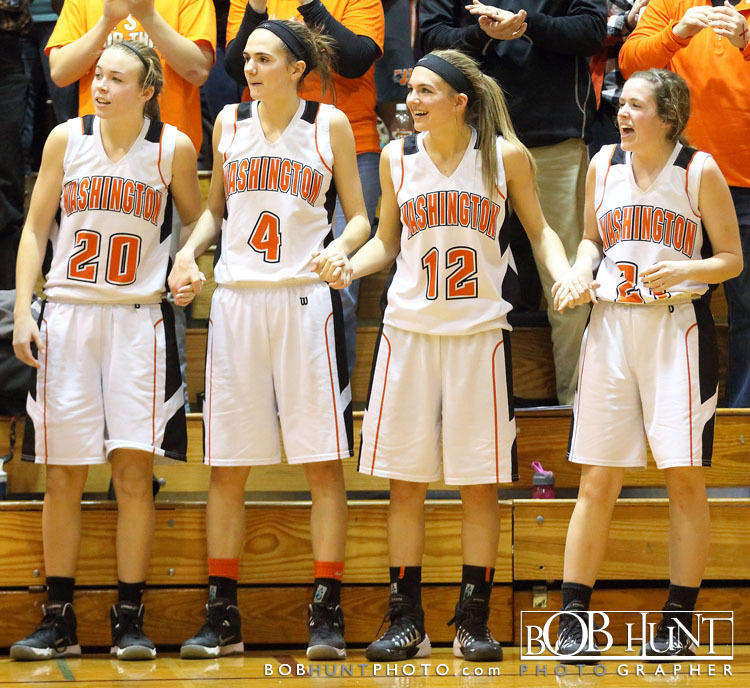 Washington High School catered the Metamora Class 3A Regional basketball title Thursday night with a 62-51 victory over rival Morton High School (26-5). 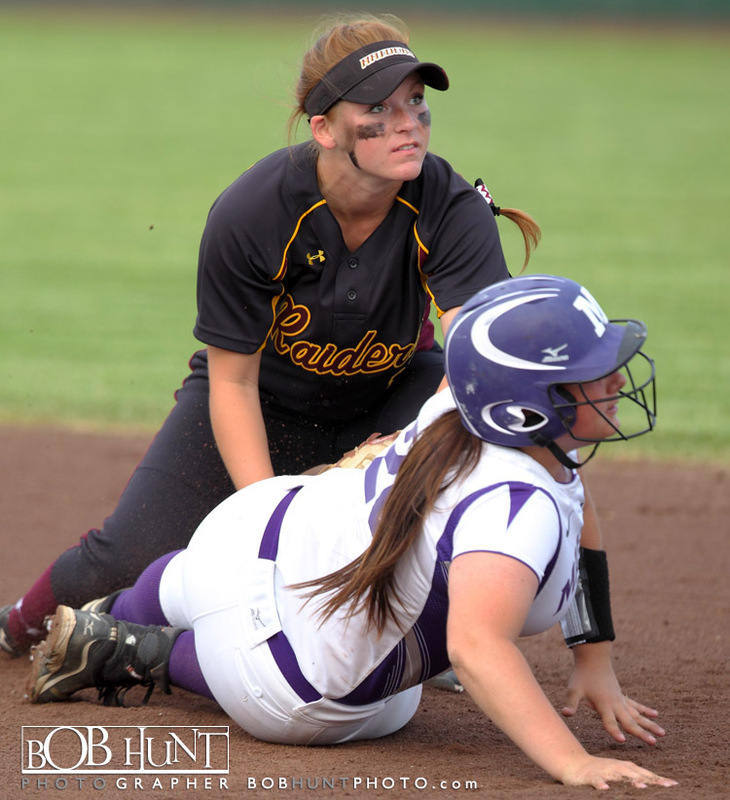 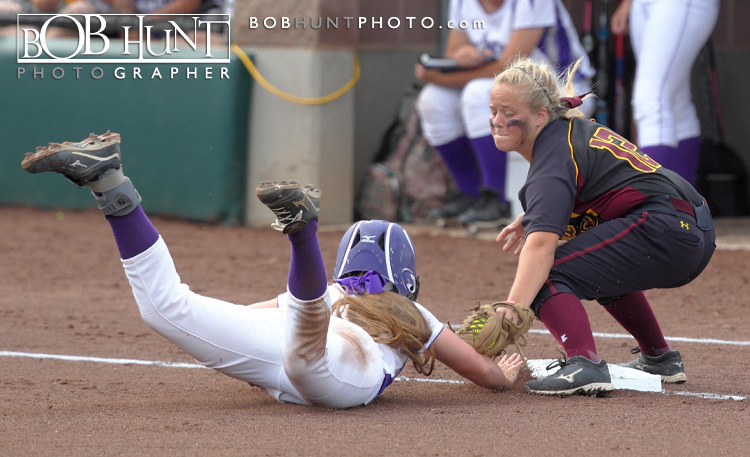 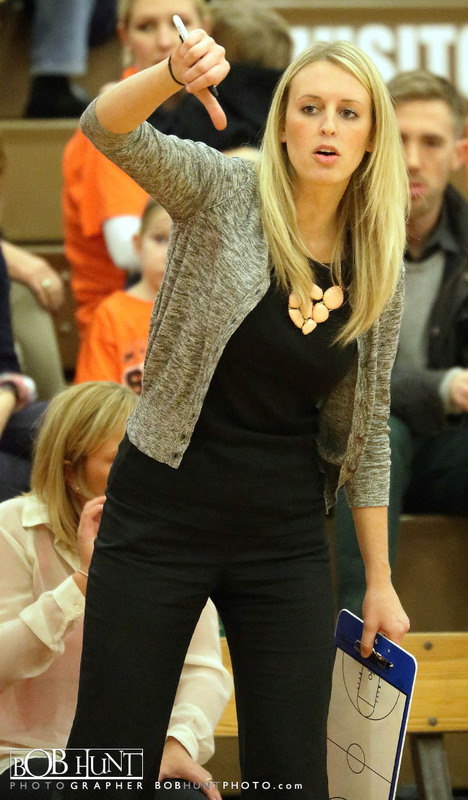 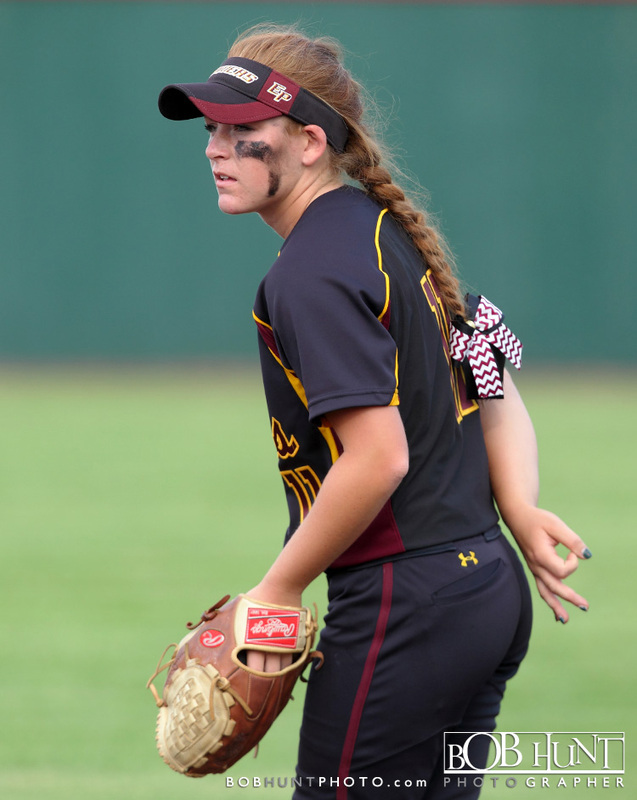 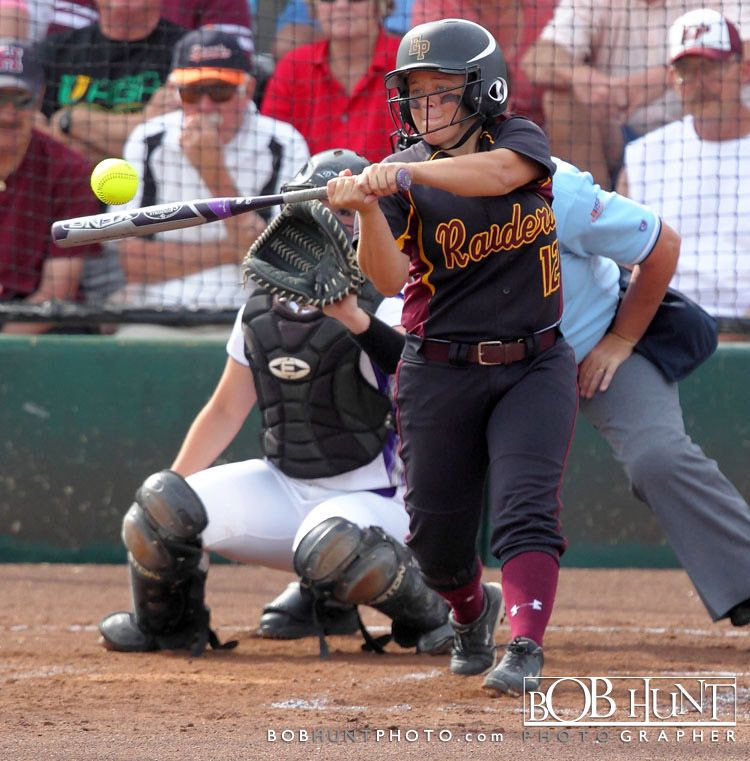 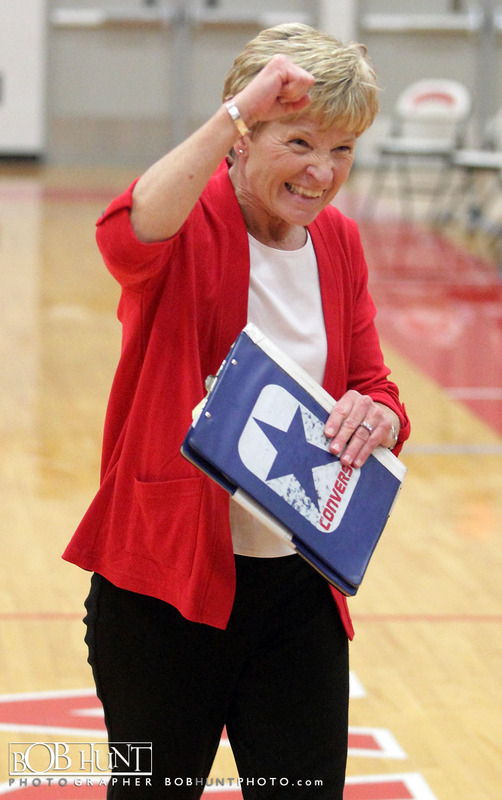 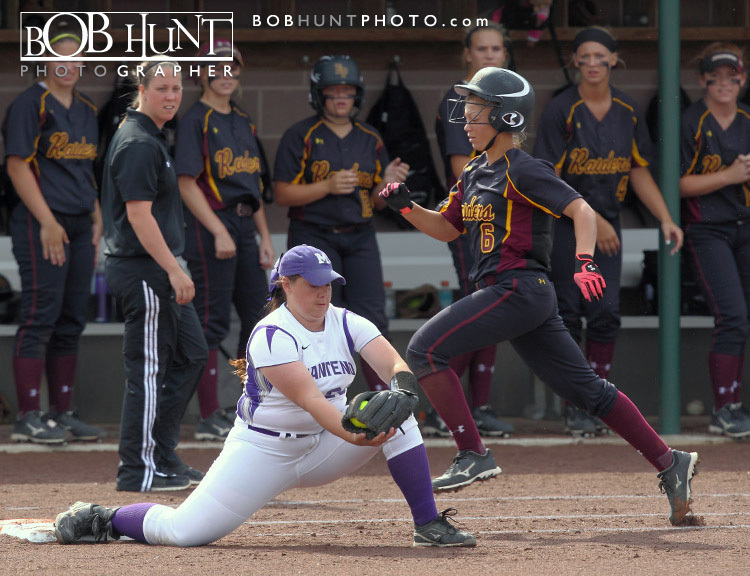 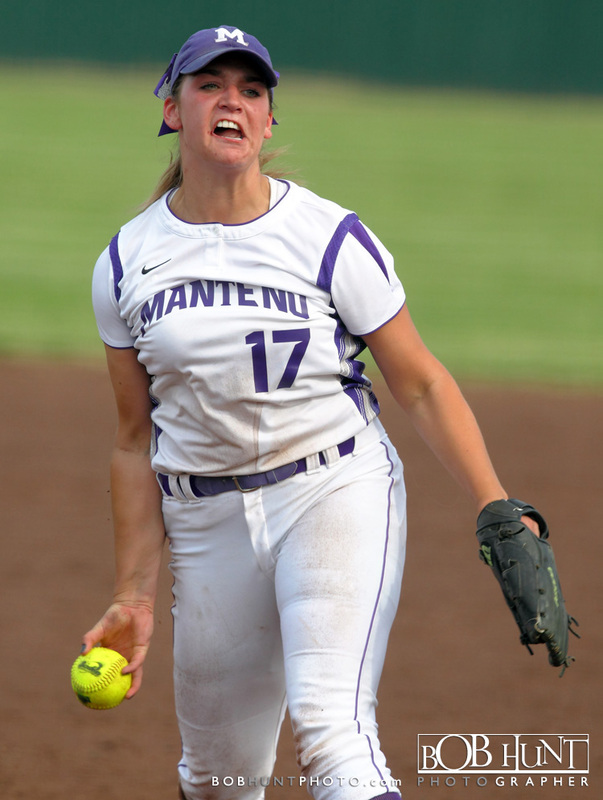 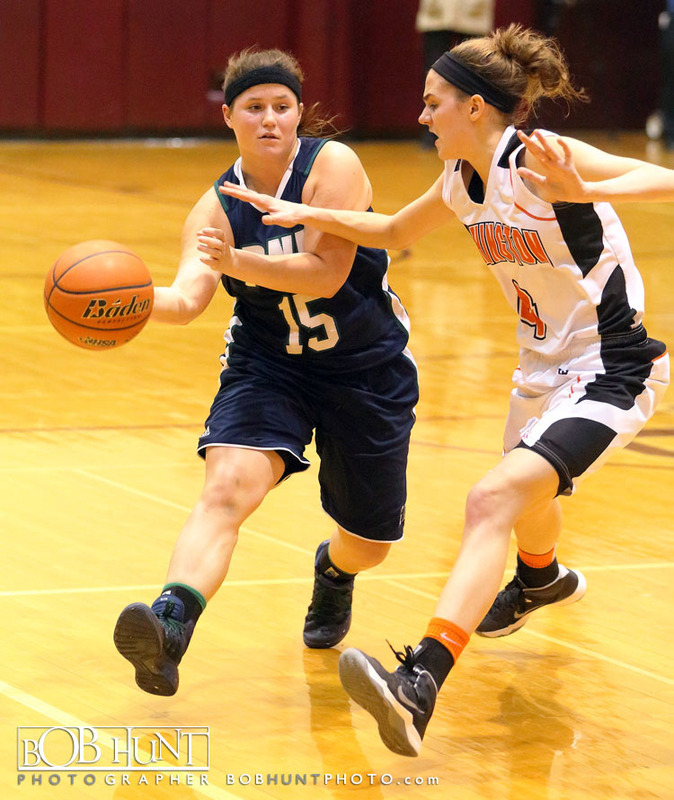 The Panthers (24-3) ended a eight-year regional title drought to advance to the Chillicothe IVC Sectional to meet Galesburg (17-14) or Geneseo (16-13) in a semifinal scheduled for 6 p.m. Monday. 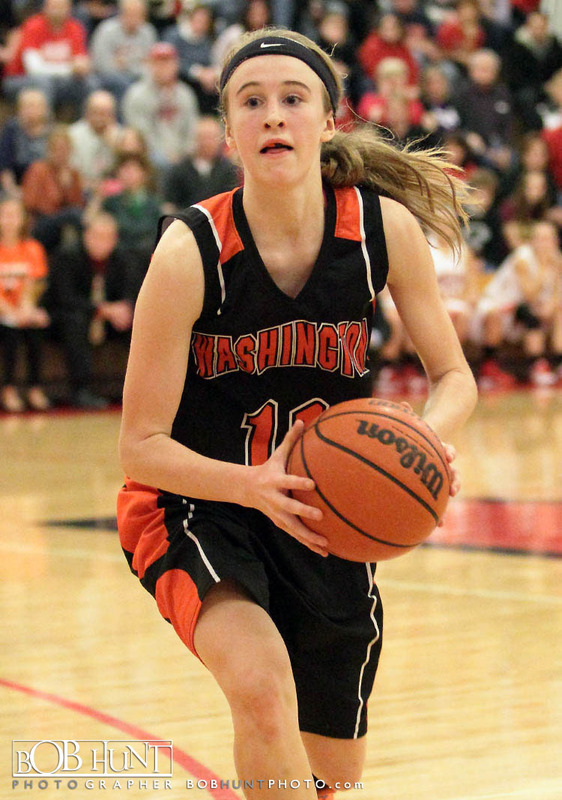 Leading scorers for Washington were Jess Learned 17, Hayley Reneau 14, Maddie Lee 11 points, 6 rebounds, and Tia Sherman added 10 points. 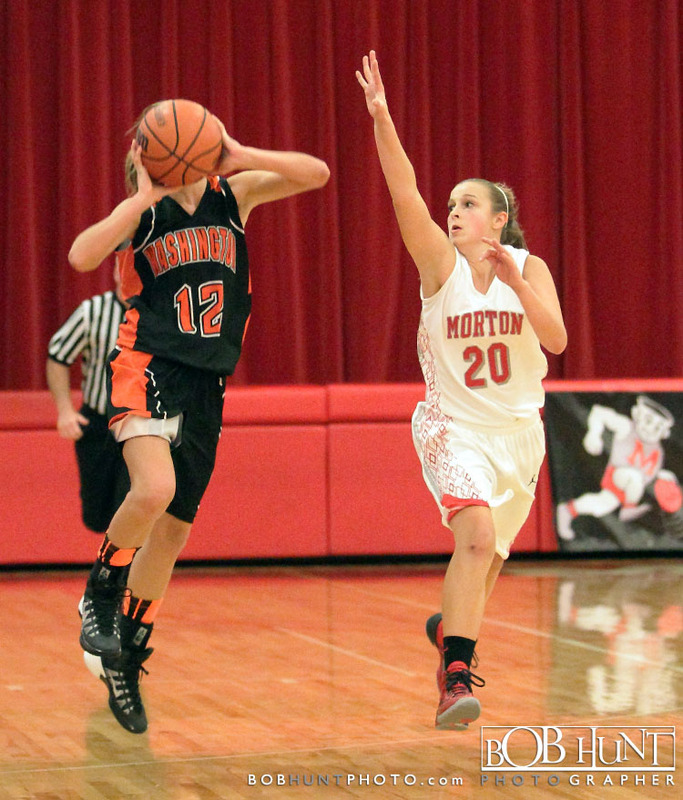 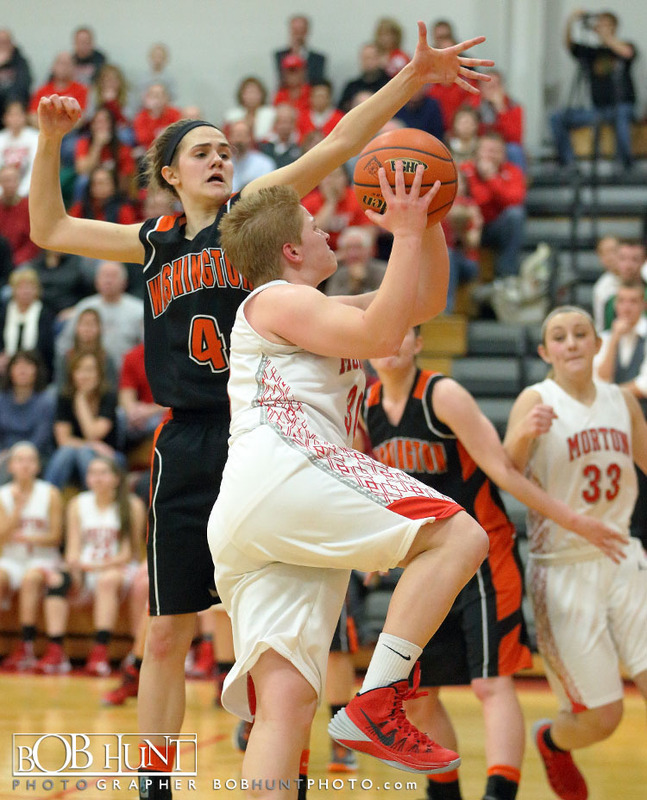 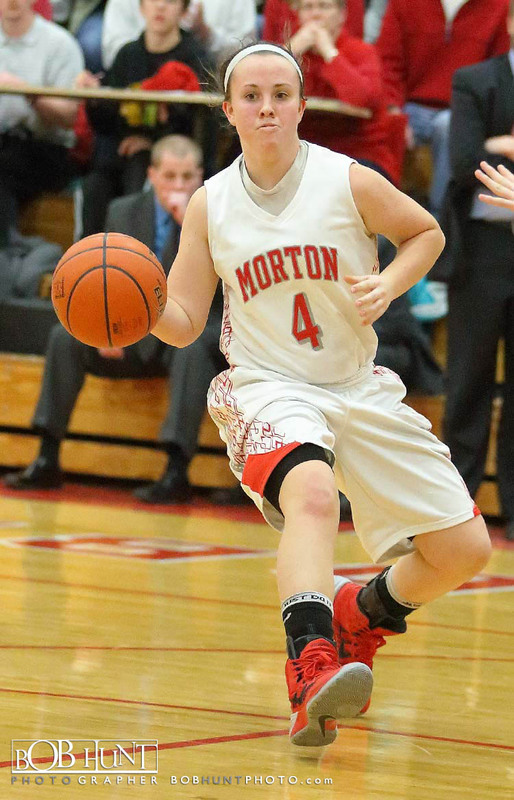 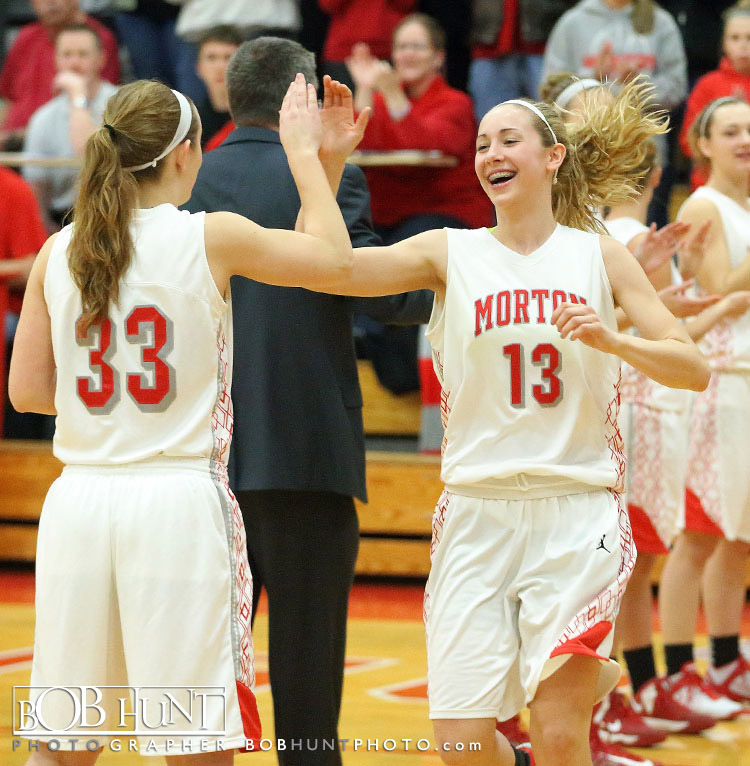 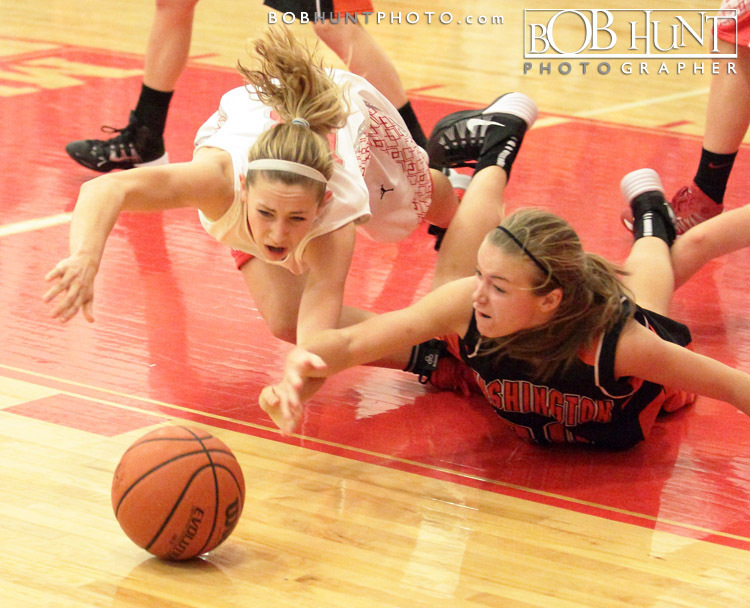 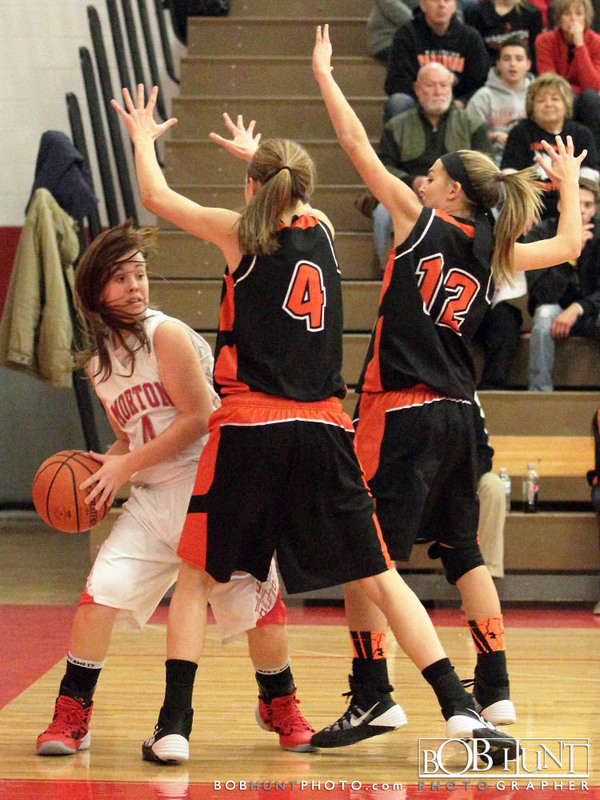 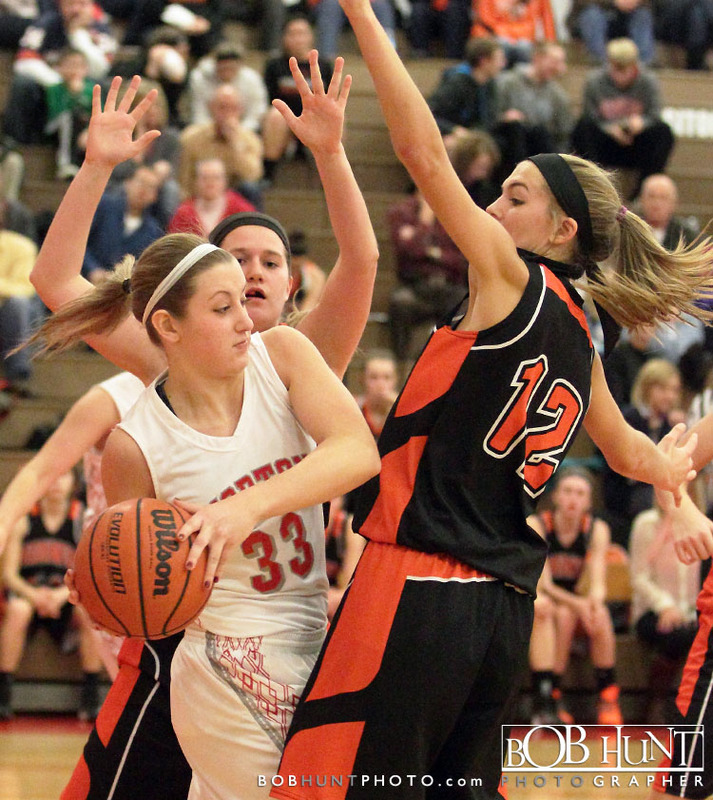 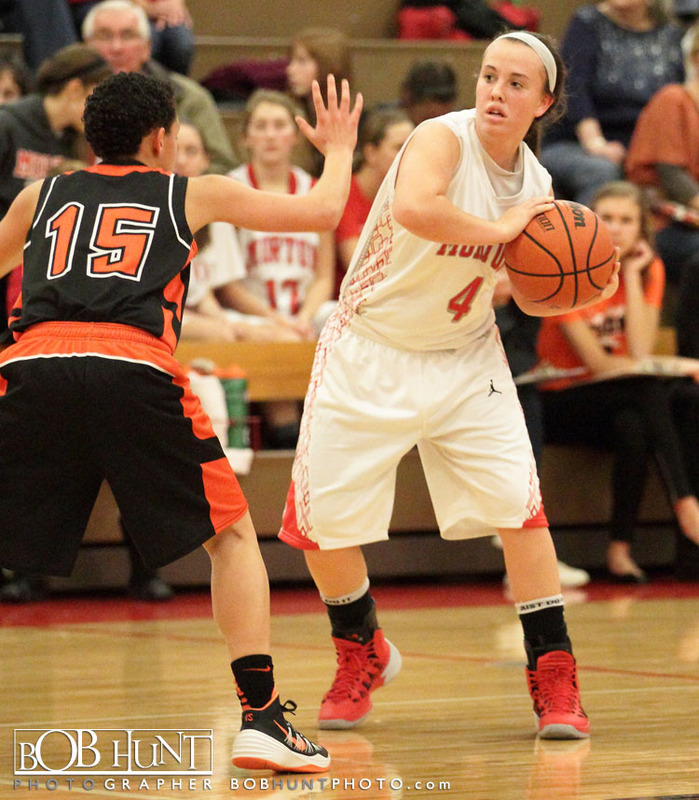 Chandler Ryan led Morton with 28 points, Brandi Bisping and Emma Heisler added 7 for the Potters. 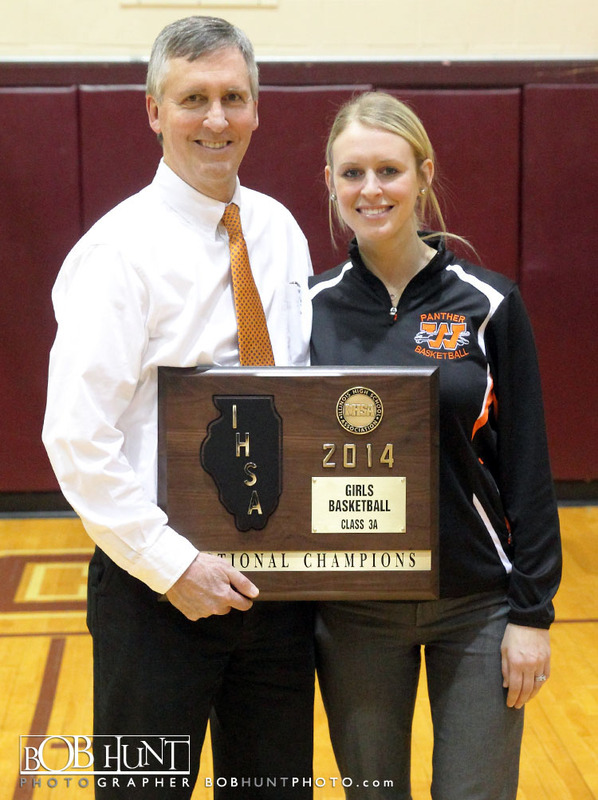 The IHSA No. 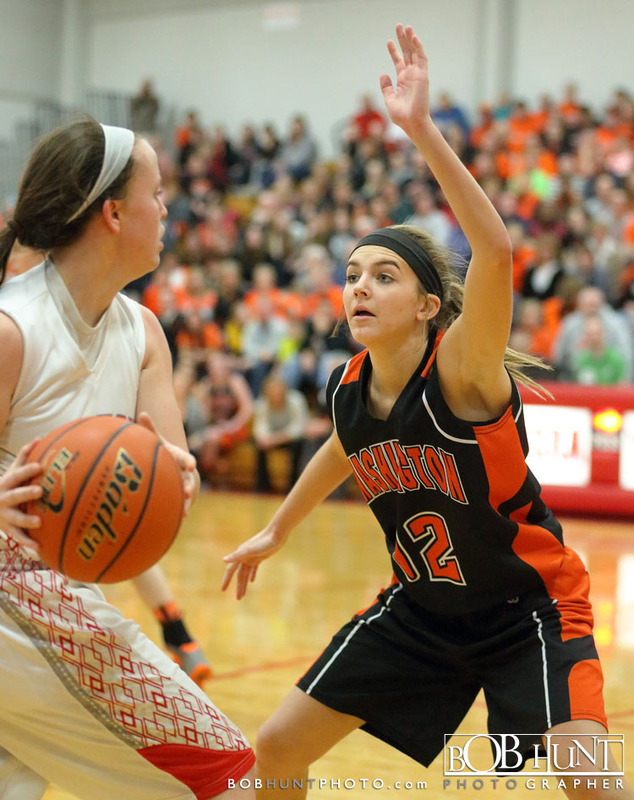 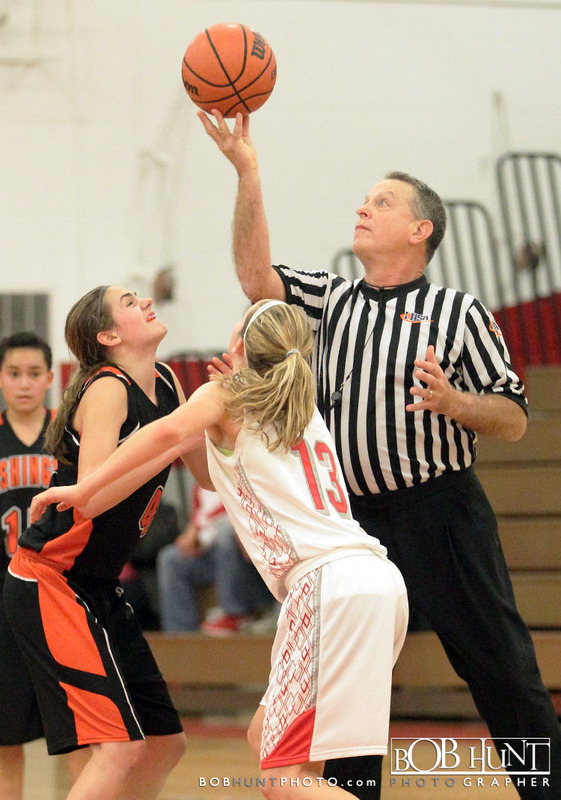 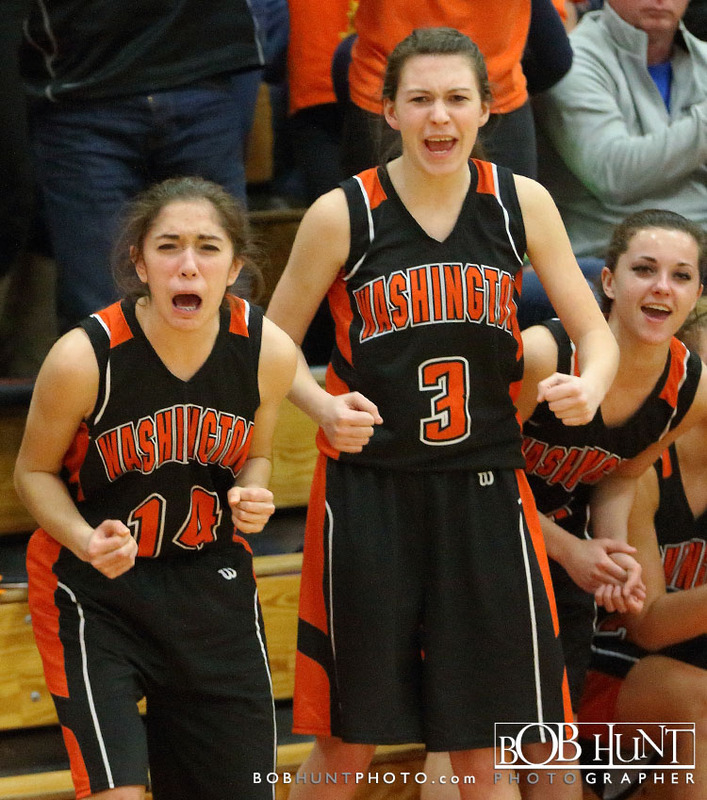 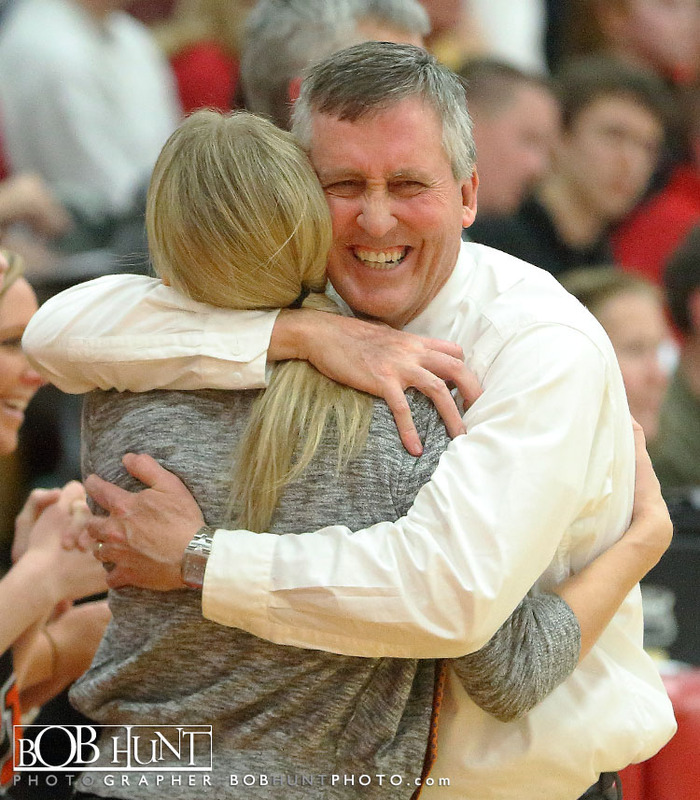 10-ranked Washington Panthers (5-0) ended Morton’s 36-game league win streak with a 69-56, three-overtime Class 3A girls basketball victory at the Potterdome. 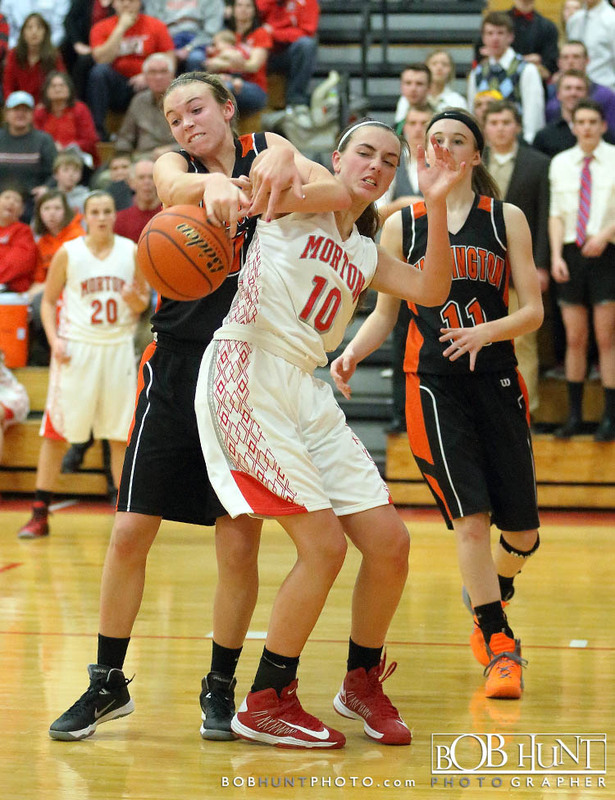 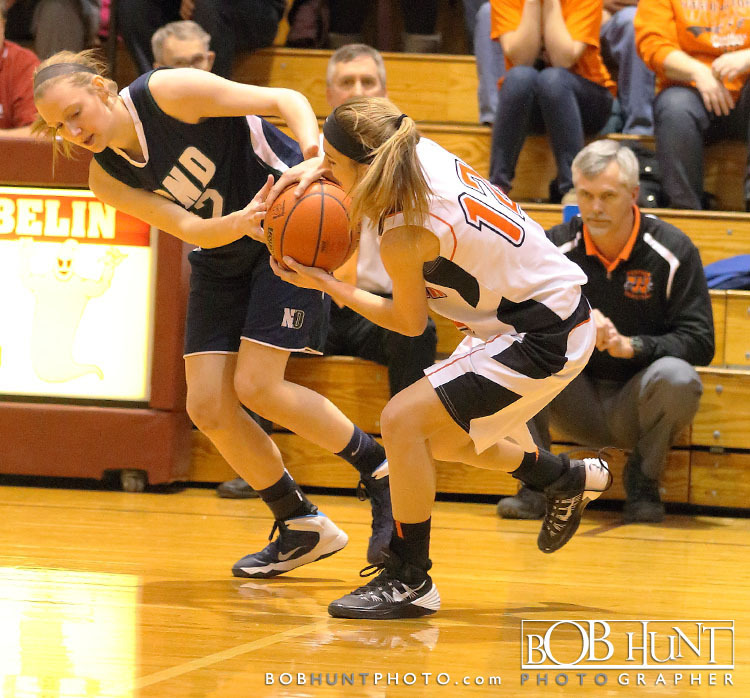 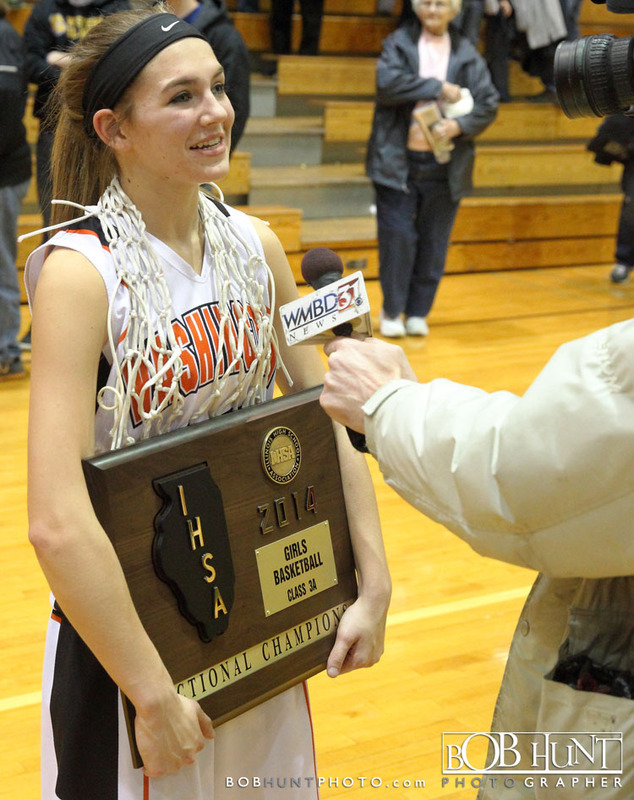 It was the Potters first Mid-Illini loss since Jan. 25, 2011 Senior guard Hayley Reneau gave the game its 14th and final lead change 54 seconds into the third overtime. 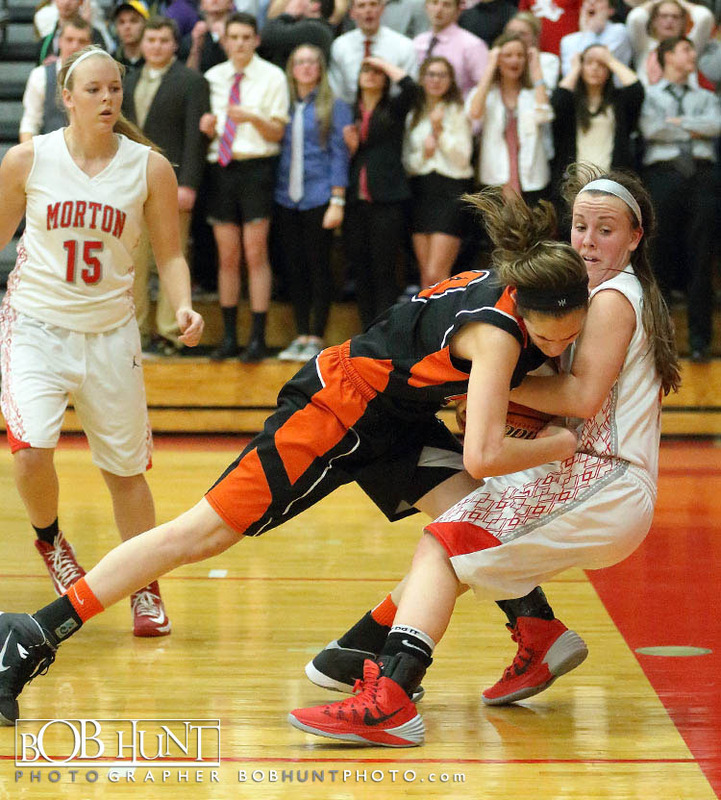 The senior hit the go-ahead, 3-pointer in the 3rd OT. 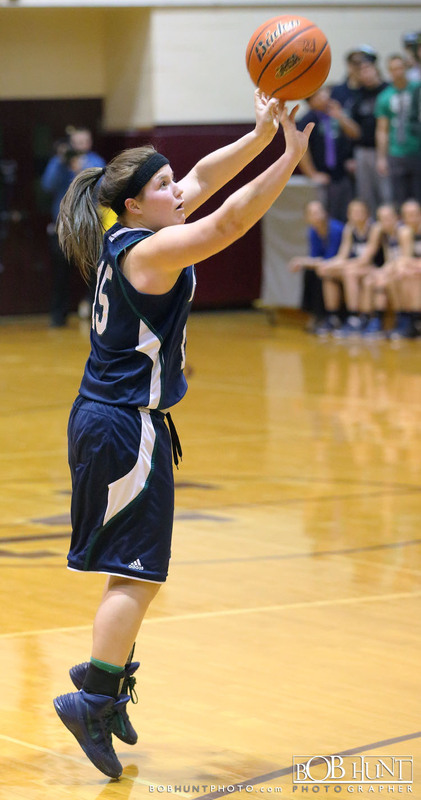 She made five 3s to finish with a game-high 18 points. 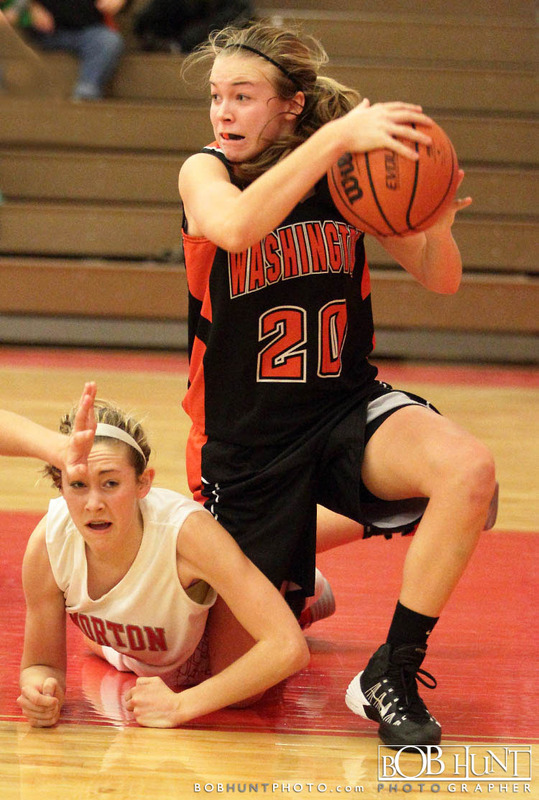 Washington extended its lead to six thanks to a three-point play by senior guard Makayla Hartter (17 points). 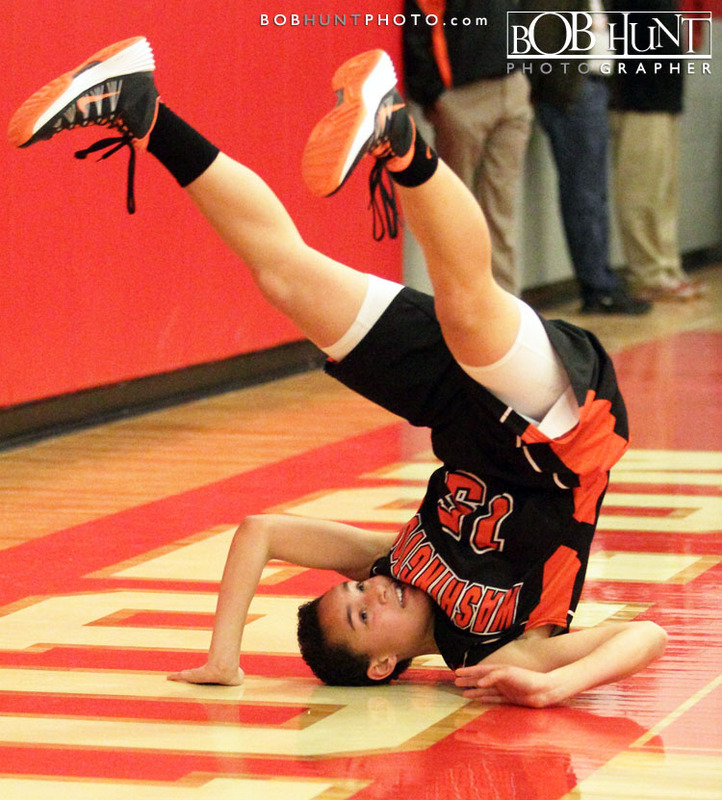 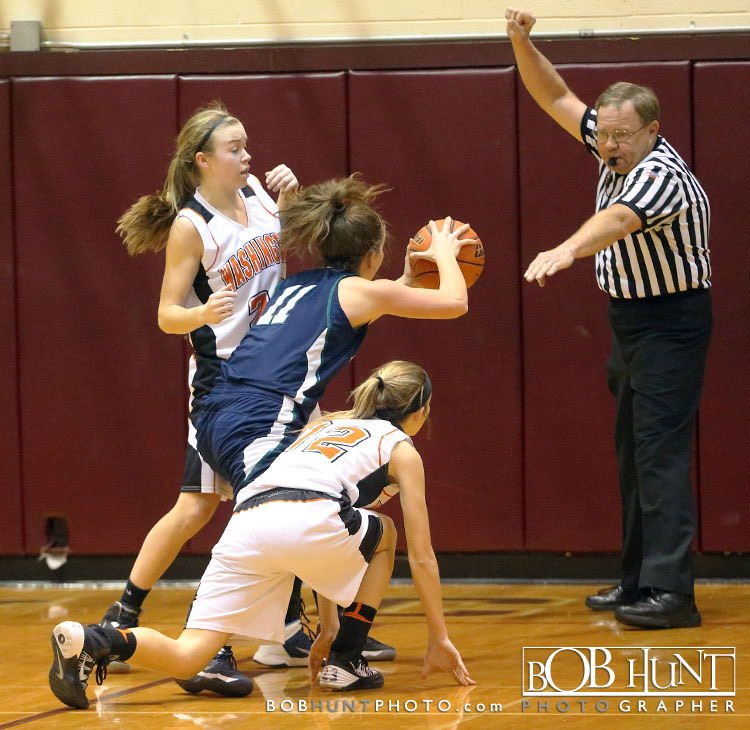 The senior guard was fouled after making a layup and sunk the free throw for a 60-54 lead. 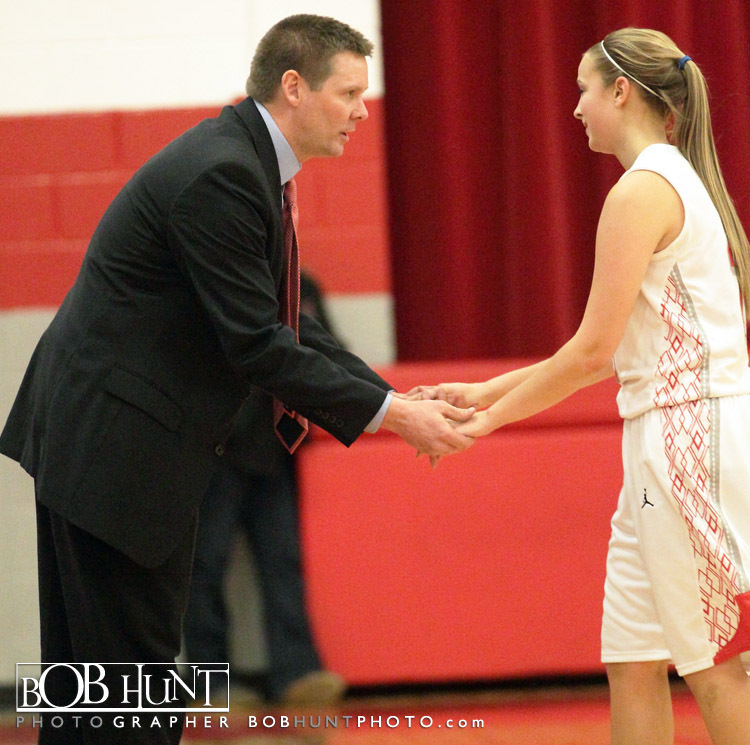 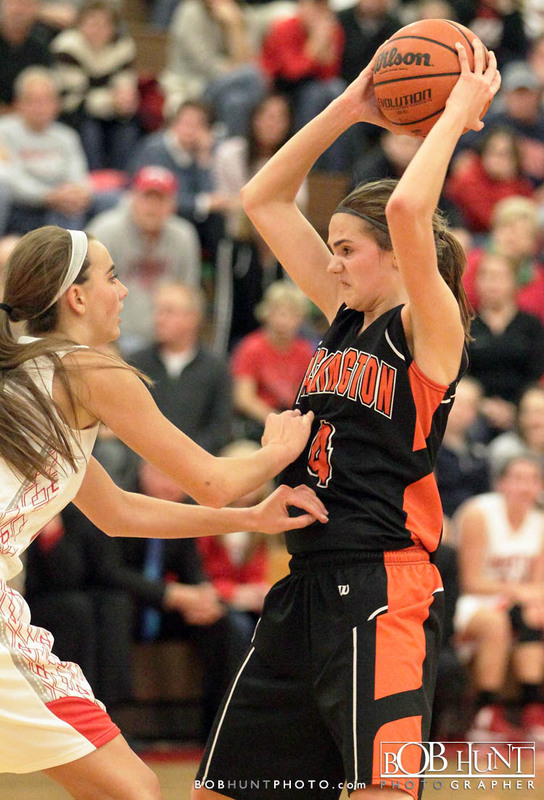 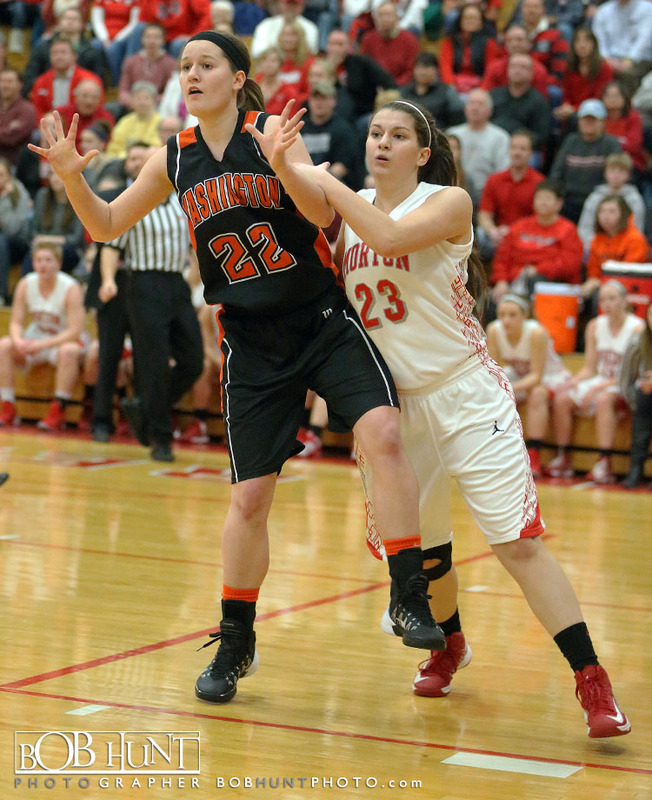 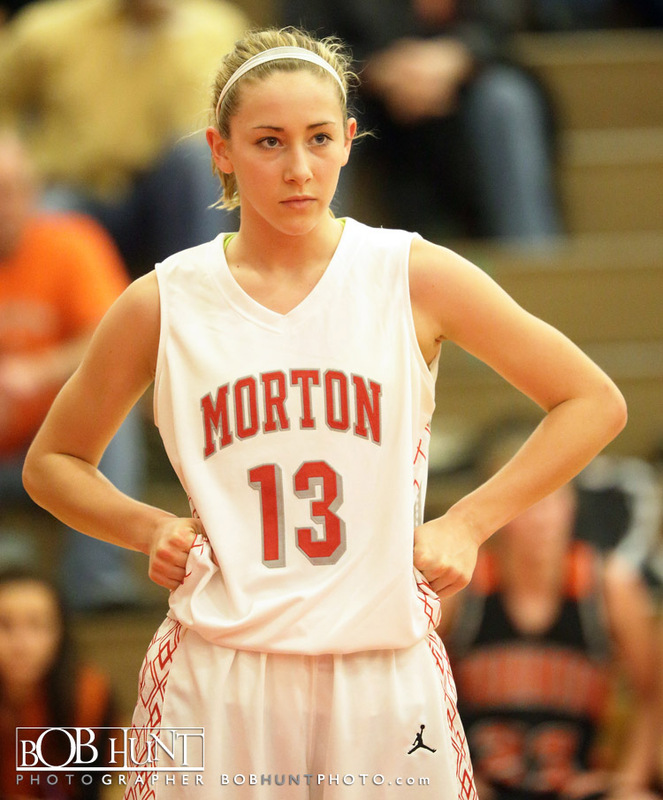 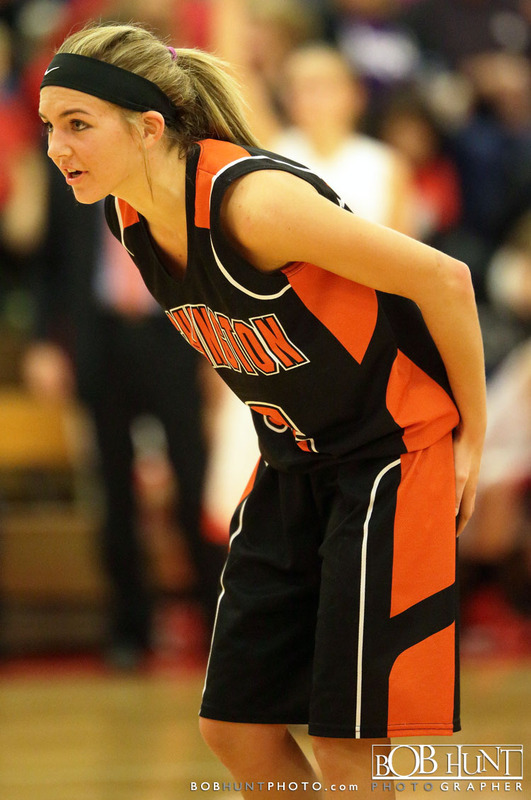 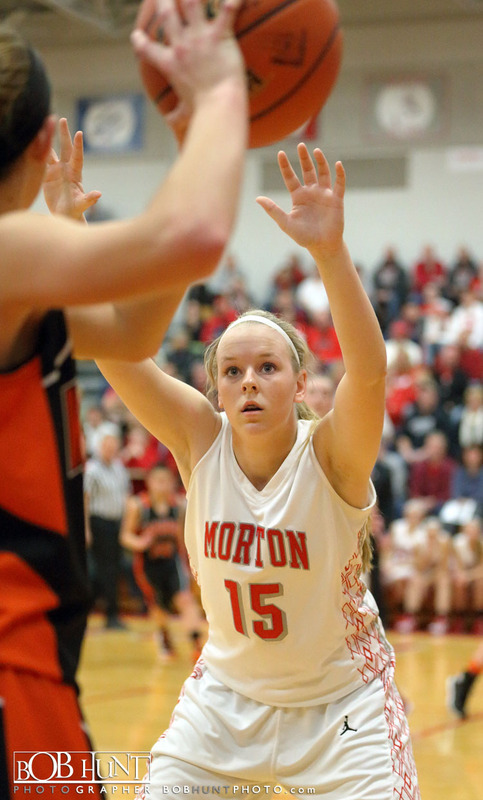 She also helped hold Morton’s leading scorer sophomore Chandler Ryan to 10 points on 4-for-17 shooting. 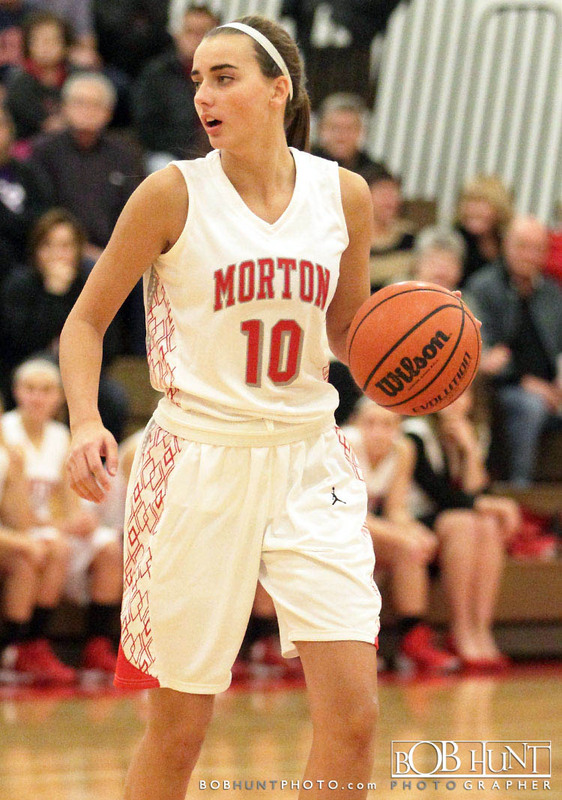 Morton freshman Brandi Bisping scored 15 and senior Emily Schultz, who scored seven straight in the second quarter, added 12 before both fouled out. 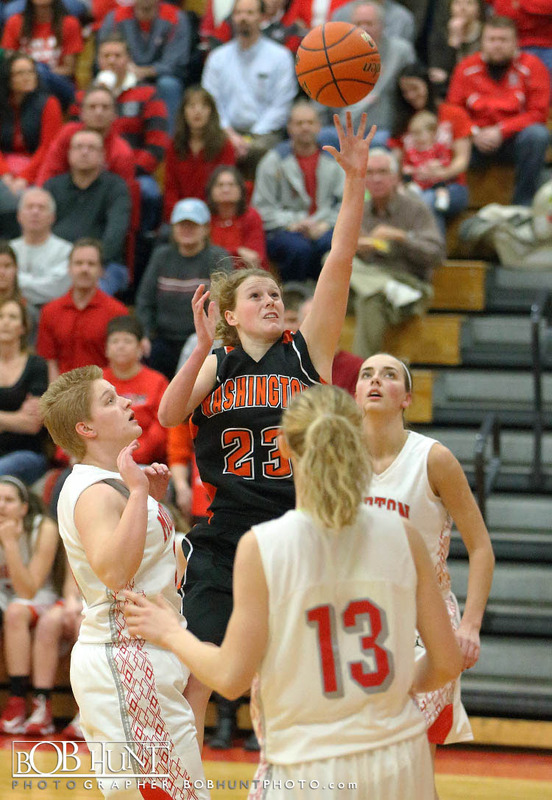 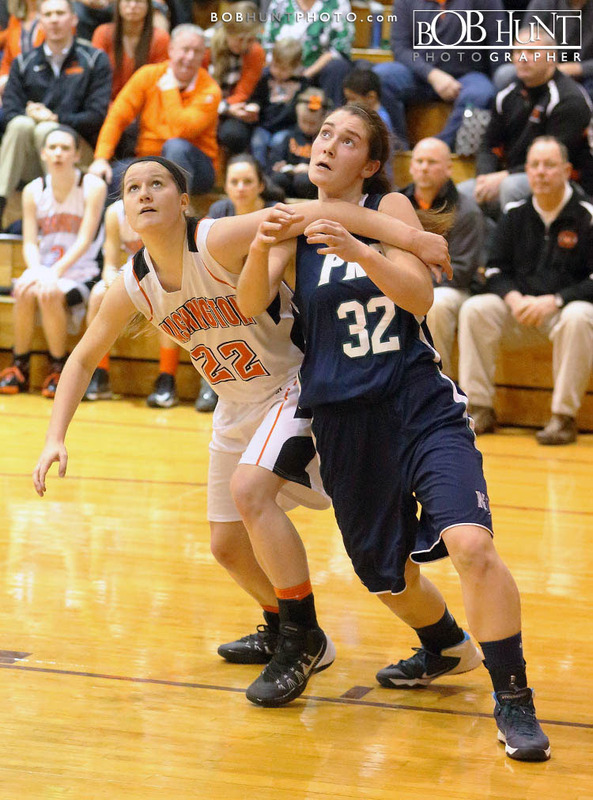 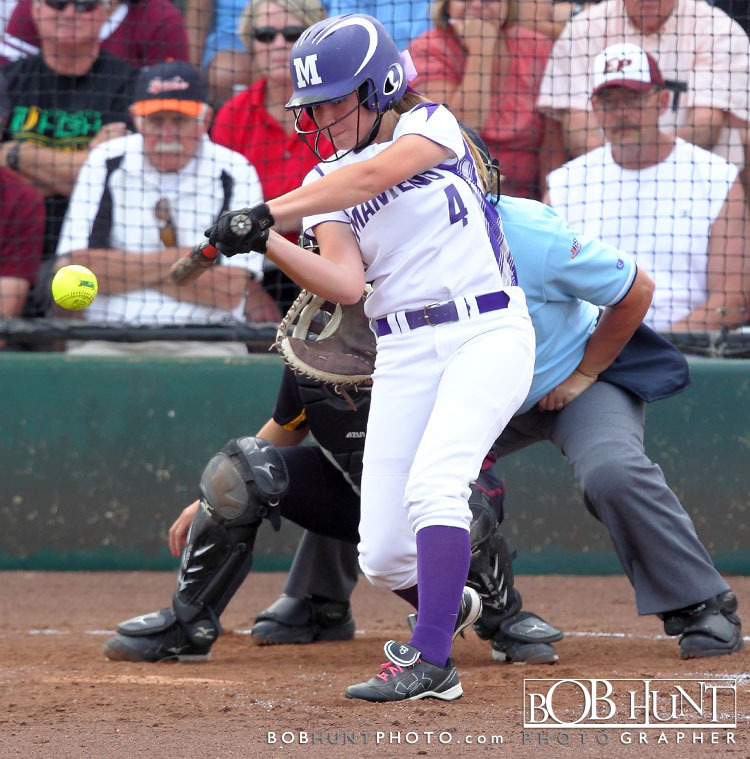 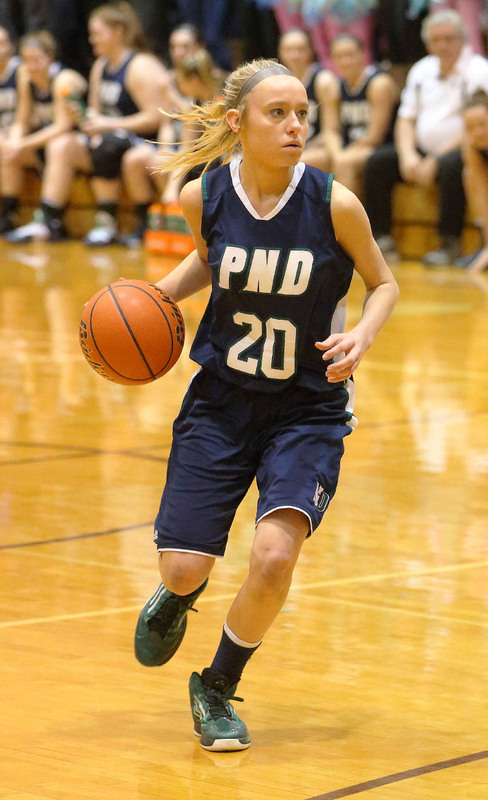 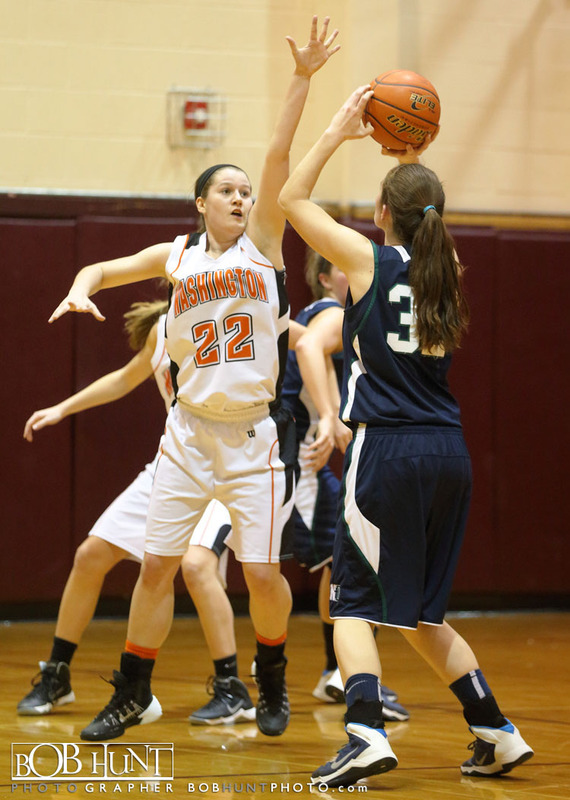 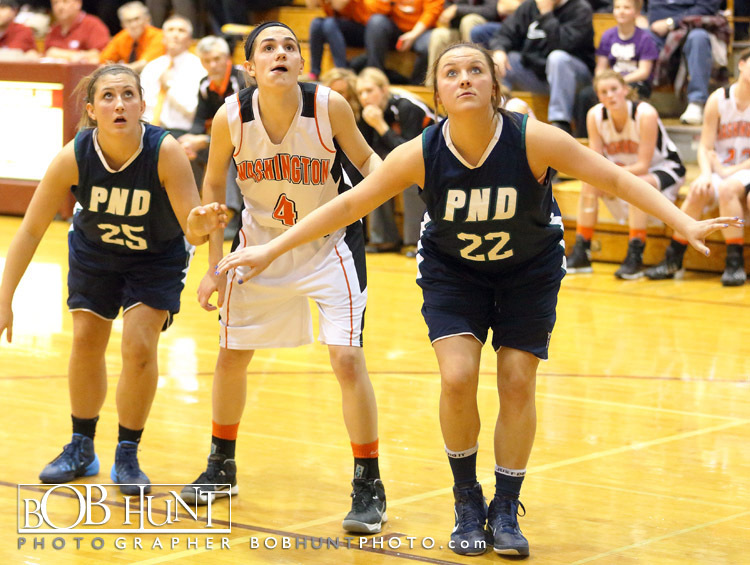 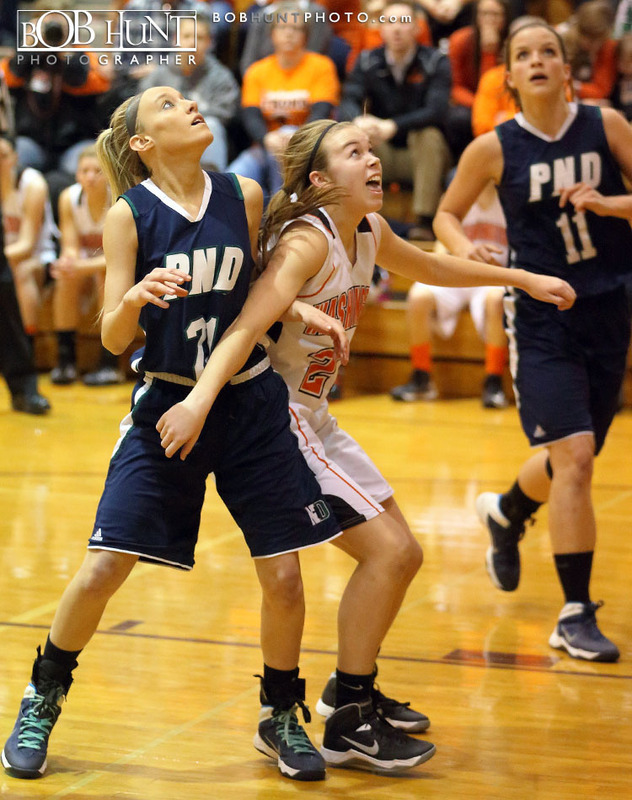 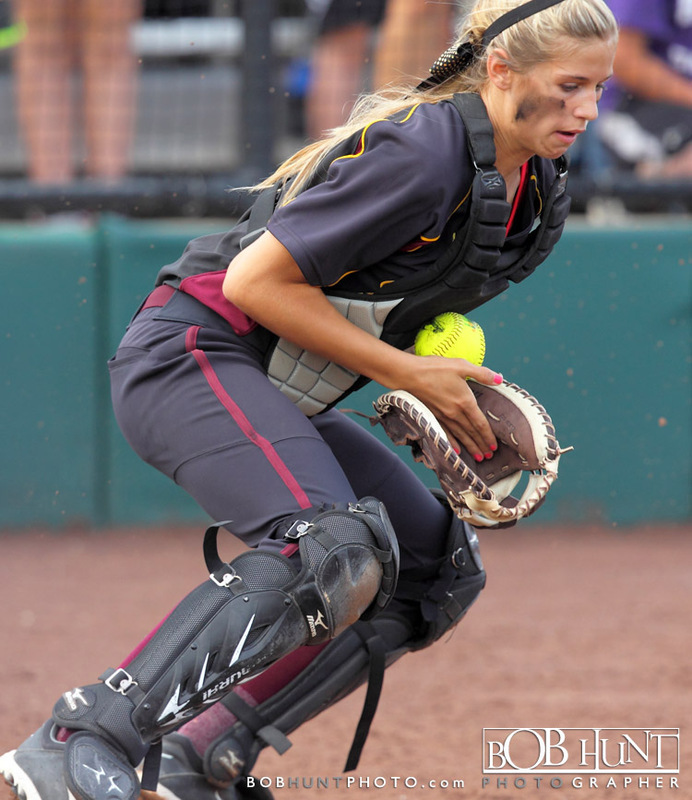 The Panthers junior forward Jess Learned added 14 points and 11 rebounds. 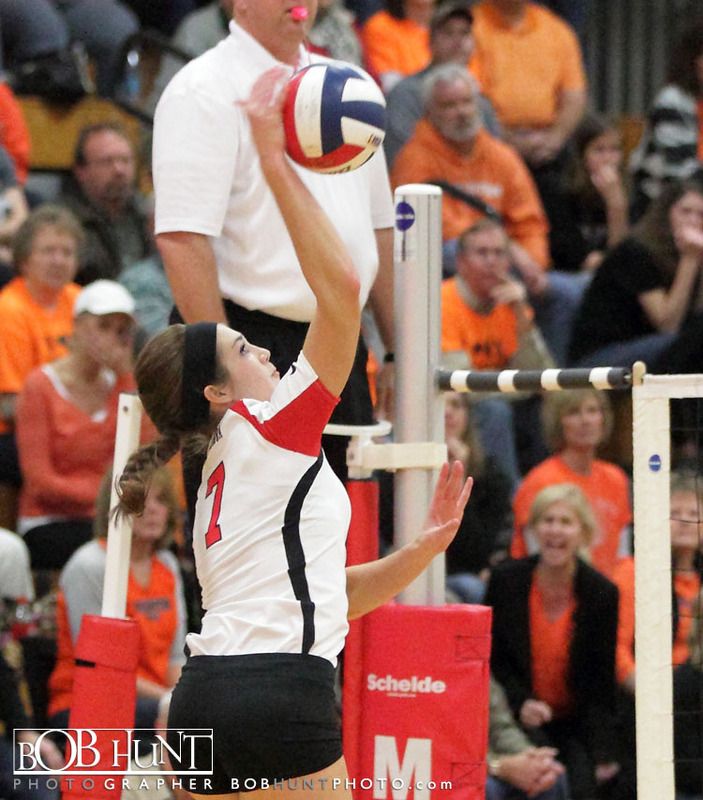 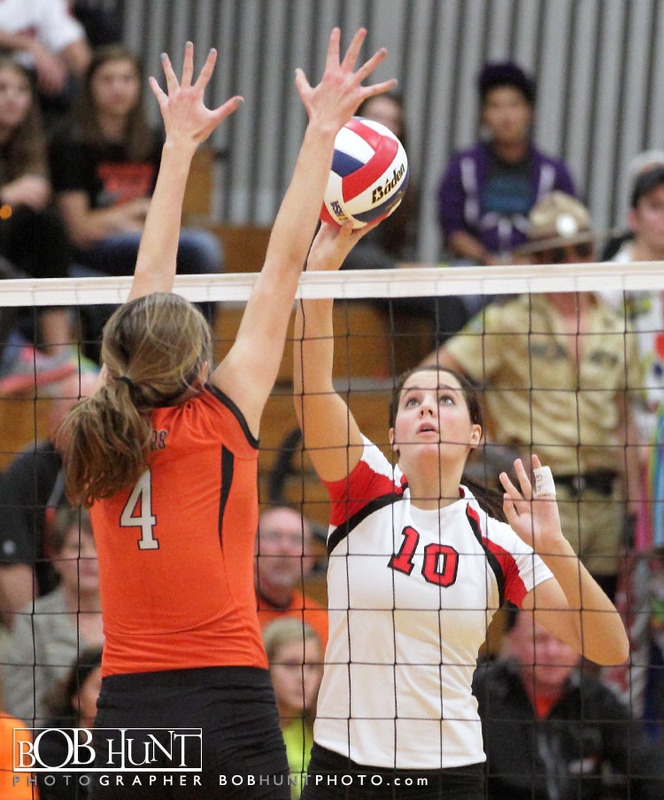 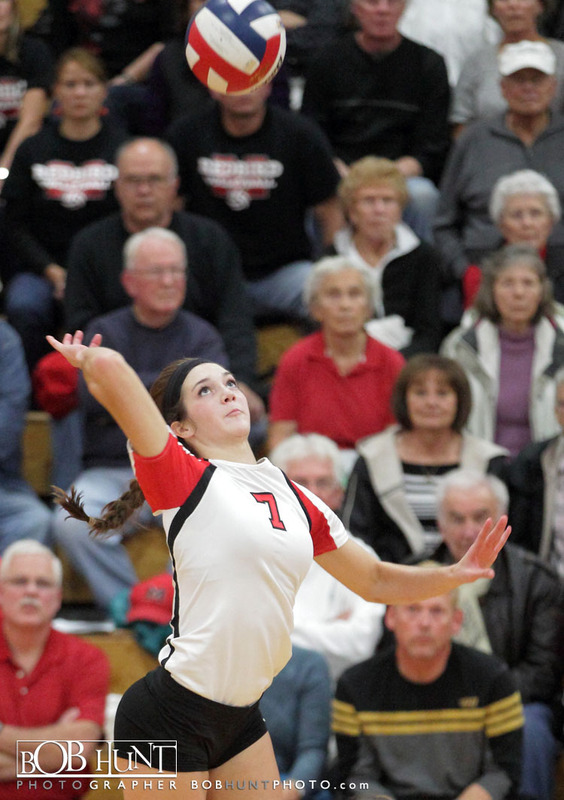 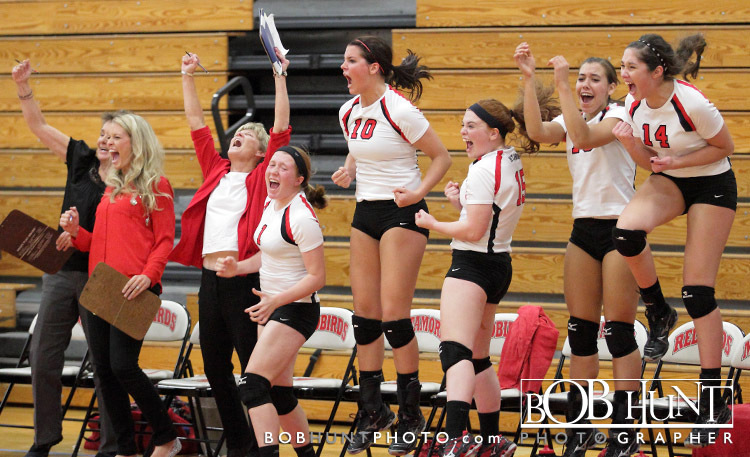 The Metamora lady Redbirds defeated the Washington Panthers (24-11), 18-25, 25-21, 25-21 to capture the IHSA Class 3A Metamora Regional title Thursday night. 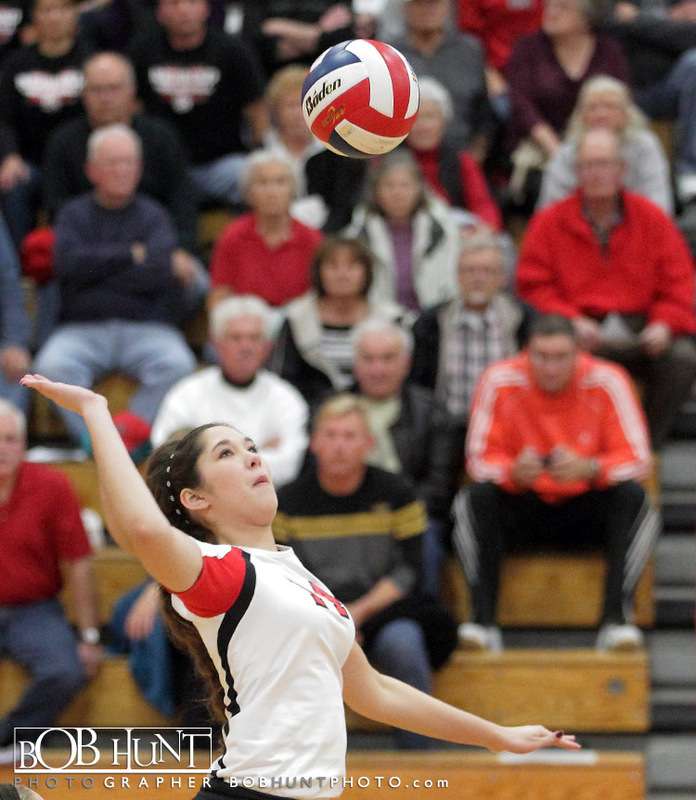 The Redbirds (30-6) trailed 21-19 in the third set before an ace from Delaney Tjaden capped a 3-0 run for 22-21 lead, forcing Washington to call a timeout. 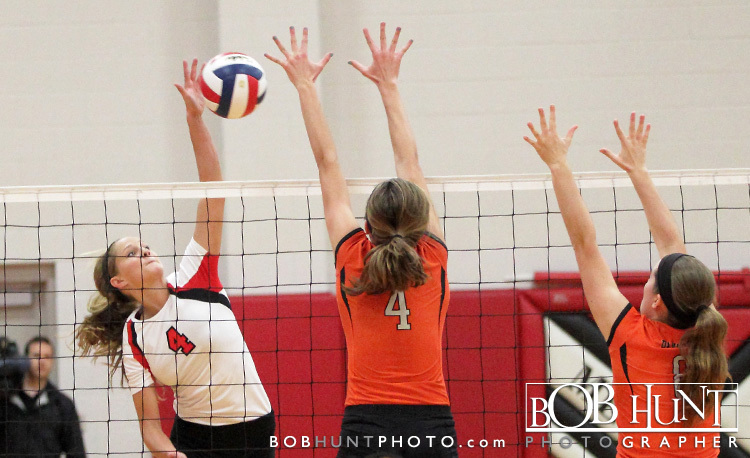 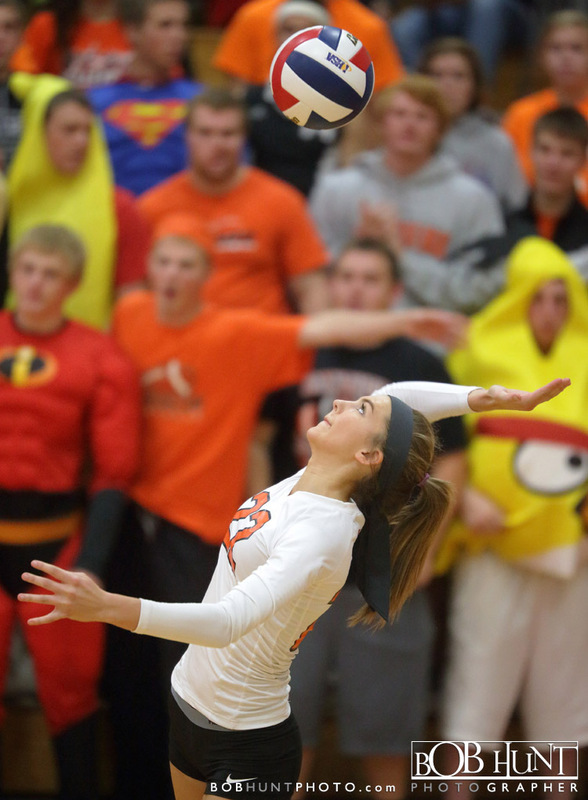 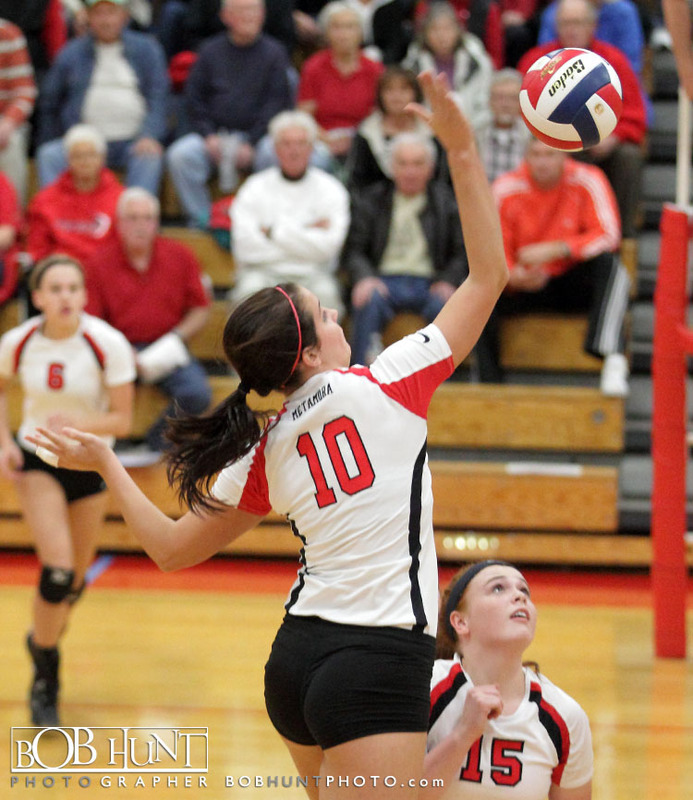 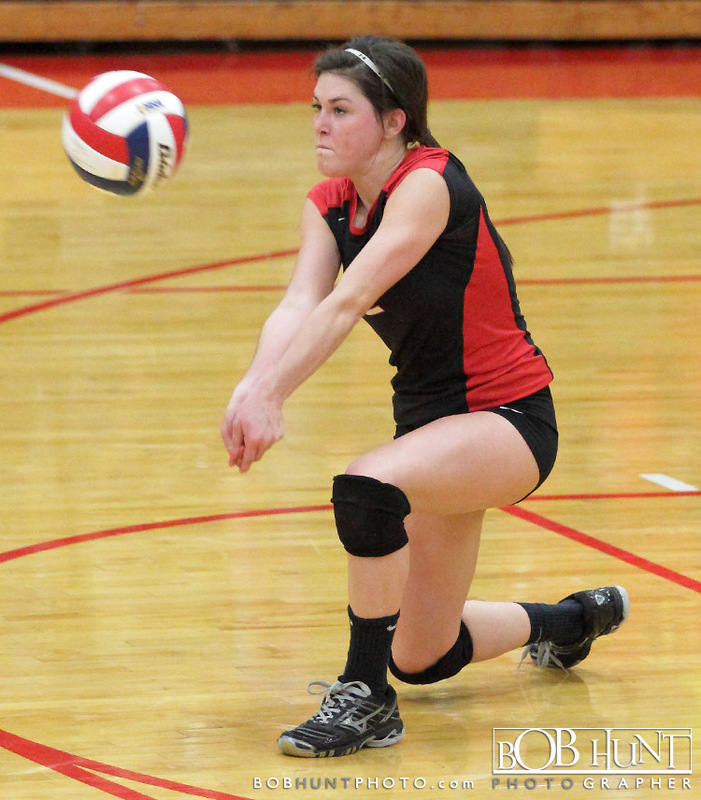 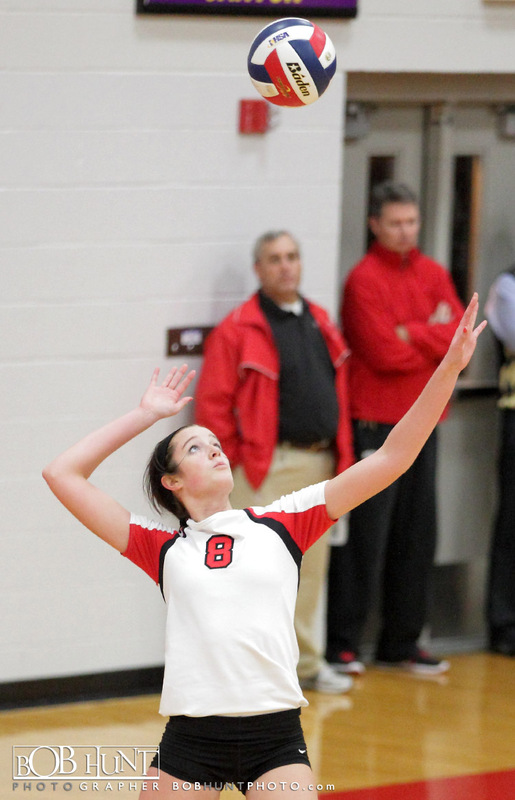 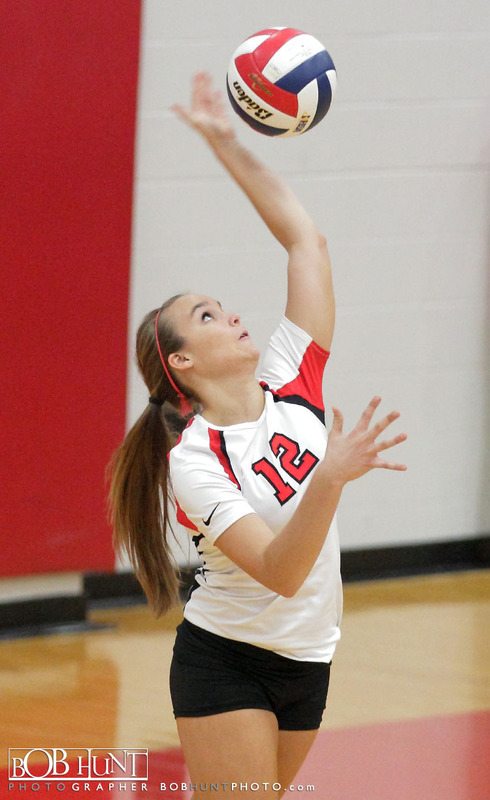 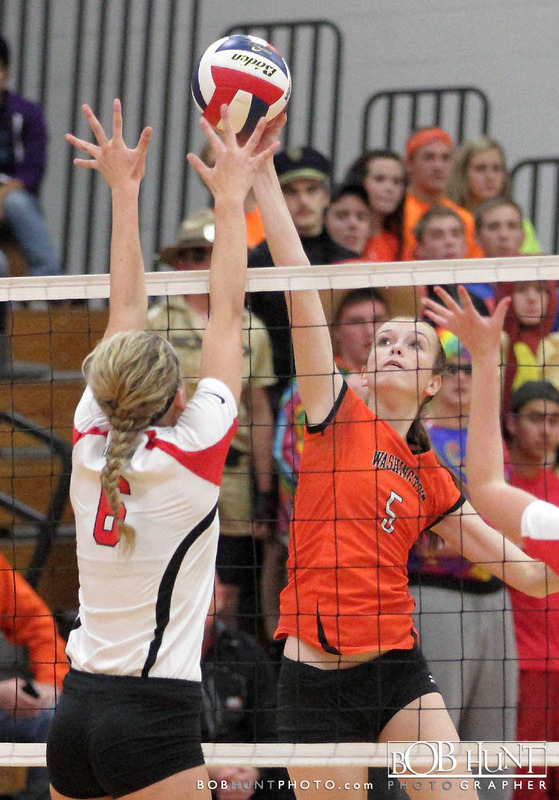 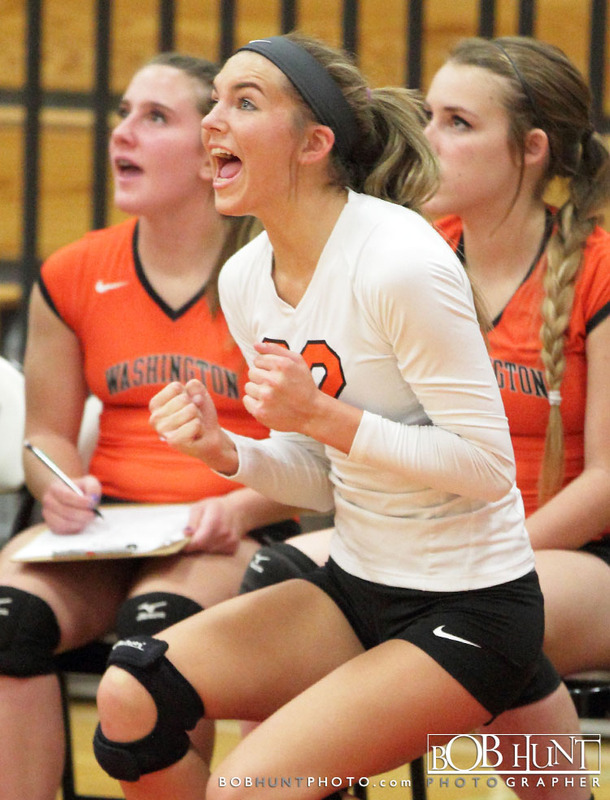 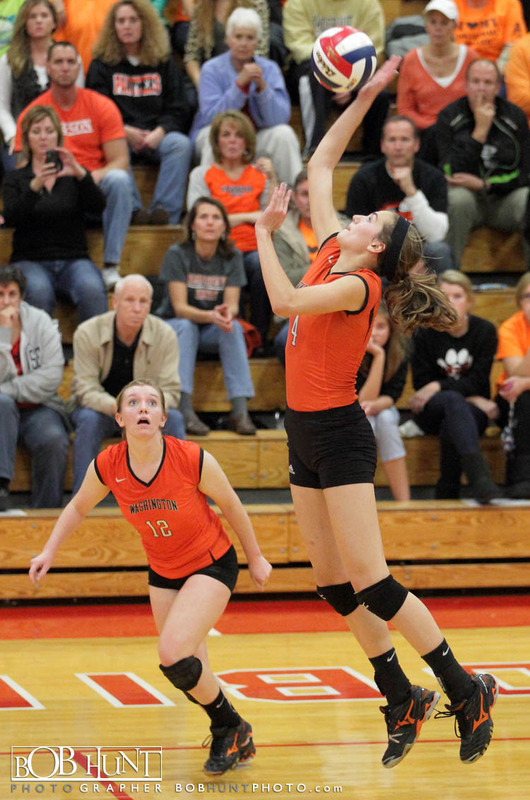 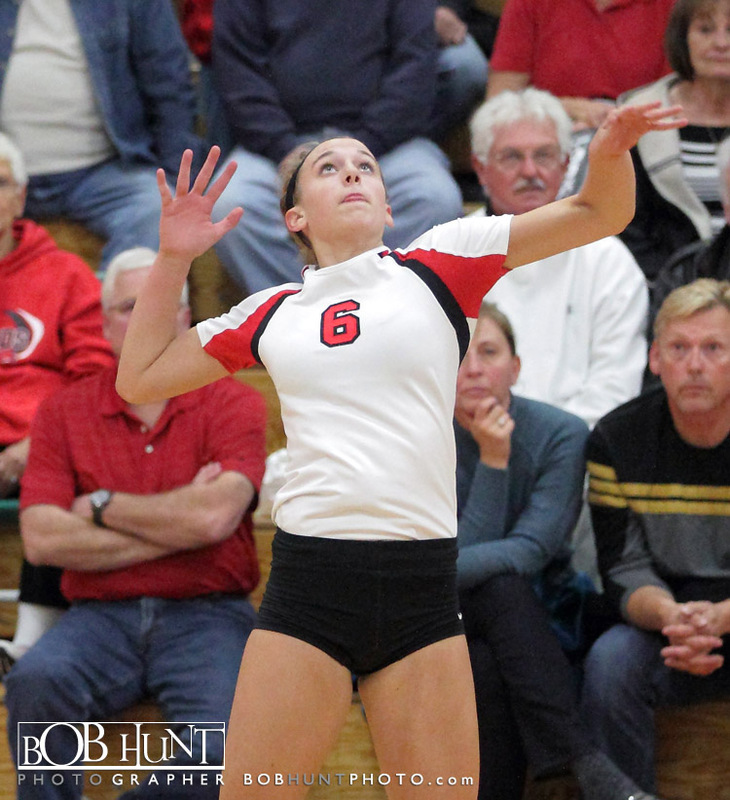 Hannah Heinz (15 kills), Michelle Escue (34 assists) and Baylie Little (15 digs) led the Panthers. 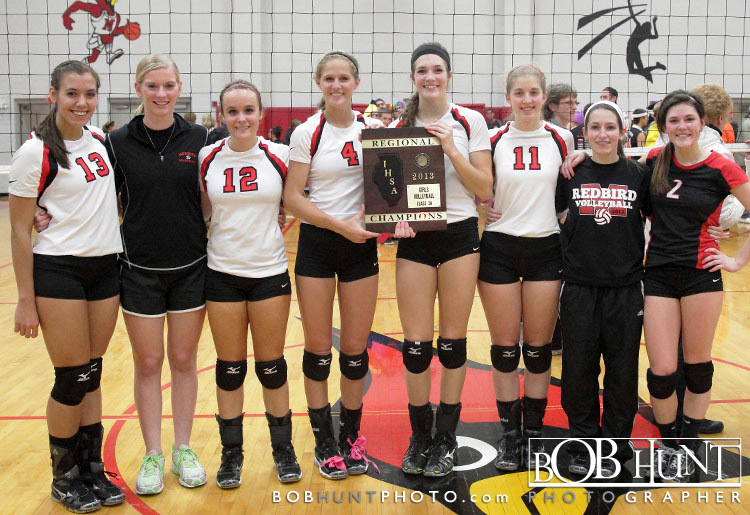 This is the Redbirds fourth straight regional title and 12th since 2001. 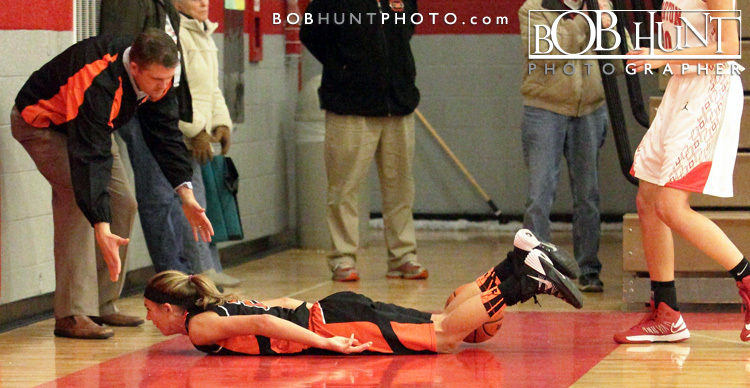 Click here to view more photo’s.